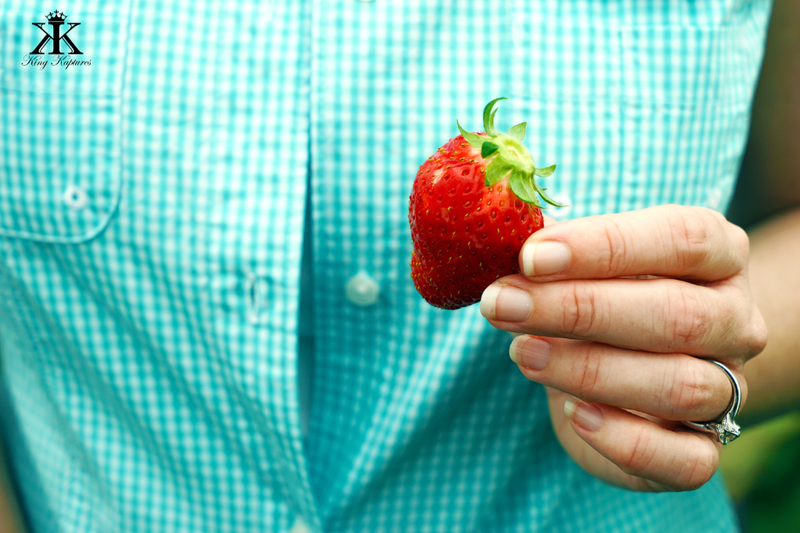 Got a hankering for strawberries? Well, you could easily run over to the commissary and buy a package of the oversized waxed fruit that we’ve come to expect, shipped from somewhere distant overseas at a premium price. 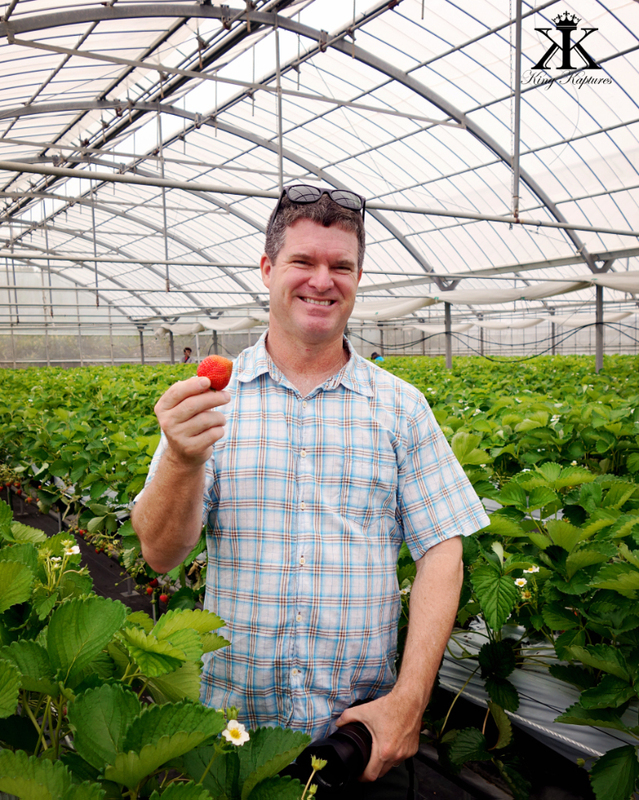 Alternatively, you could get your strawberries at any supermarket on Okinawa, which are far superior to those available on base in color, size, and taste. 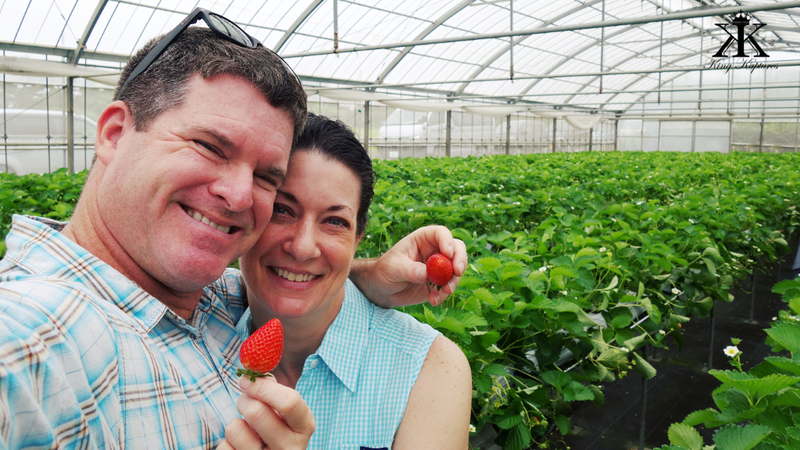 But, the farm-fresh strawberries picked by hand at Okinawa ichigo (Japanese for “strawberry”) farms are made oh so much delectable by the fruits of your labor! 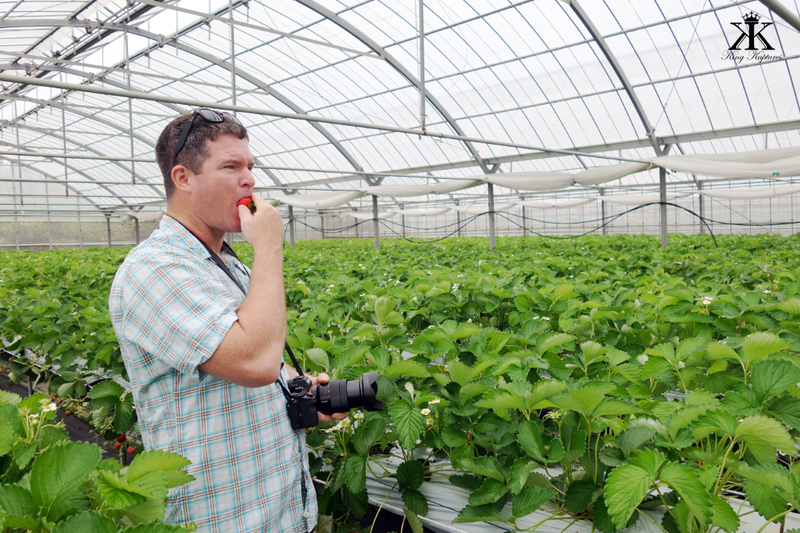 It’s strawberry season in Okinawa, and here the fruit is farm fresh – literally. 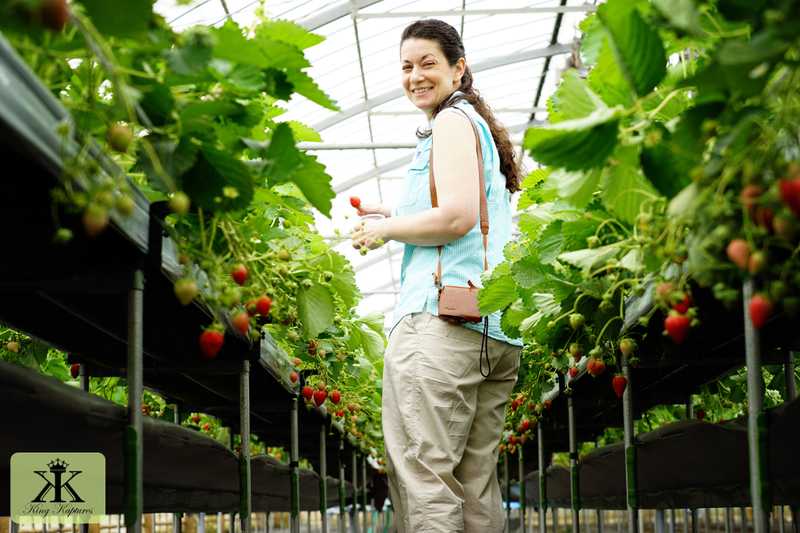 Strawberry picking in Japan is a popular activity this time of year, and strawberry farms across its many islands offer opportunities for highly coveted all-you-can-eat visits. 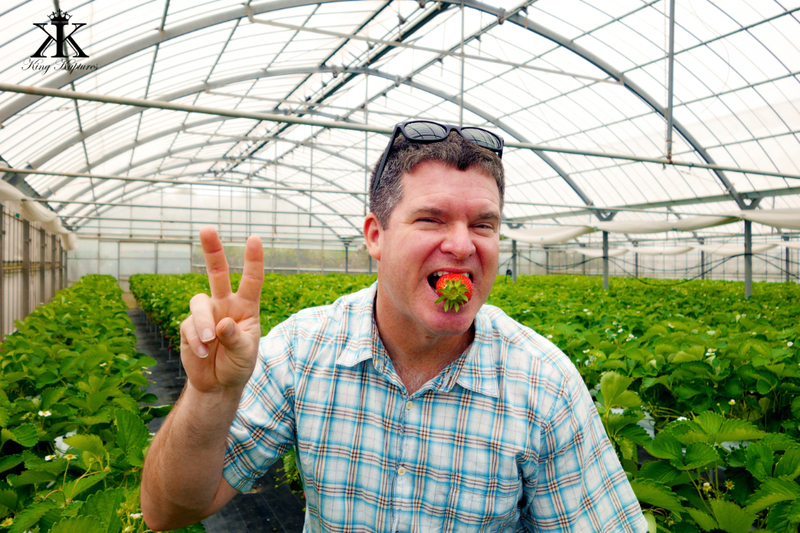 On Okinawa strawberries have only recently been harvested starting as early as March. 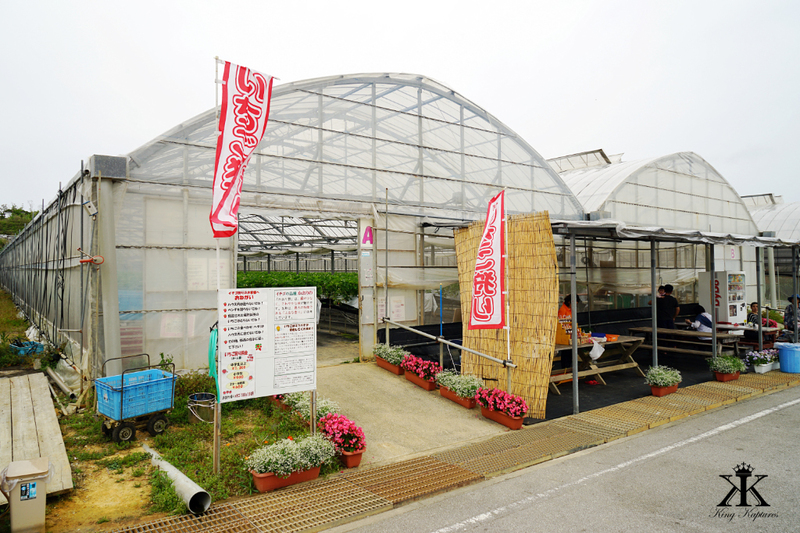 Traditionally, before modern housed cultivation, the season begun only in early summer. But if you want until then it’ll be too late! 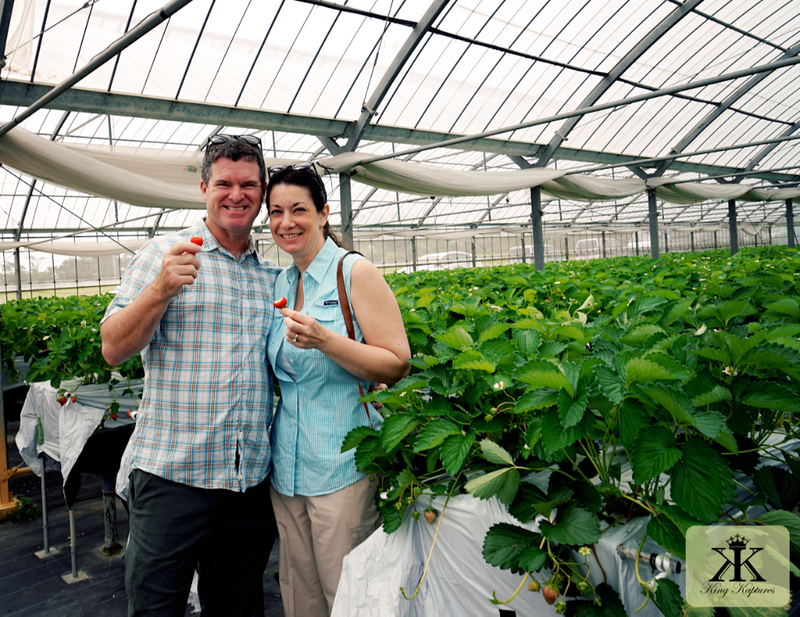 Jody and I had an Okinawan friend help make our reservations – they are highly encouraged, and most places require one in order to enjoy their berries. 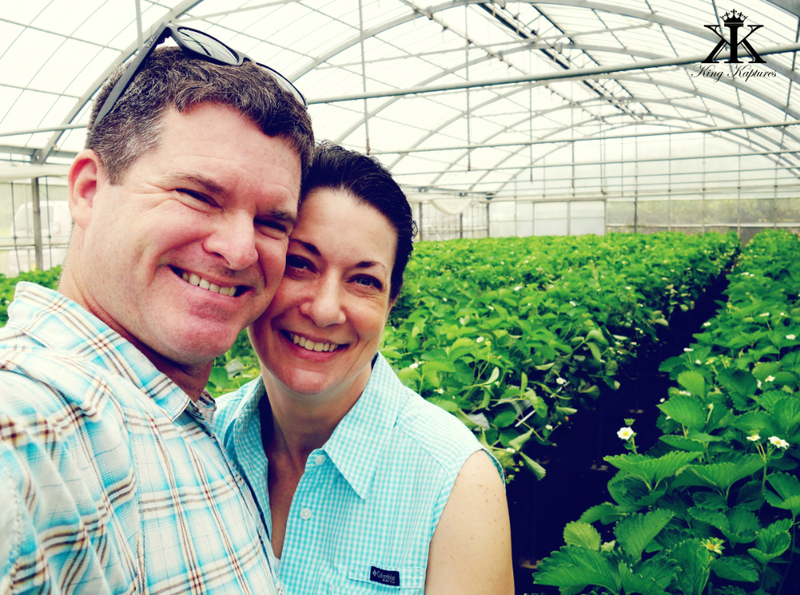 We selected a farm up in the middle of the island, well away from the urban sprawl that seems to infect most of the southern reaches of Okinawa. We left early enough to ensure at least an on-time arrival, but ended up about 15 minutes early. 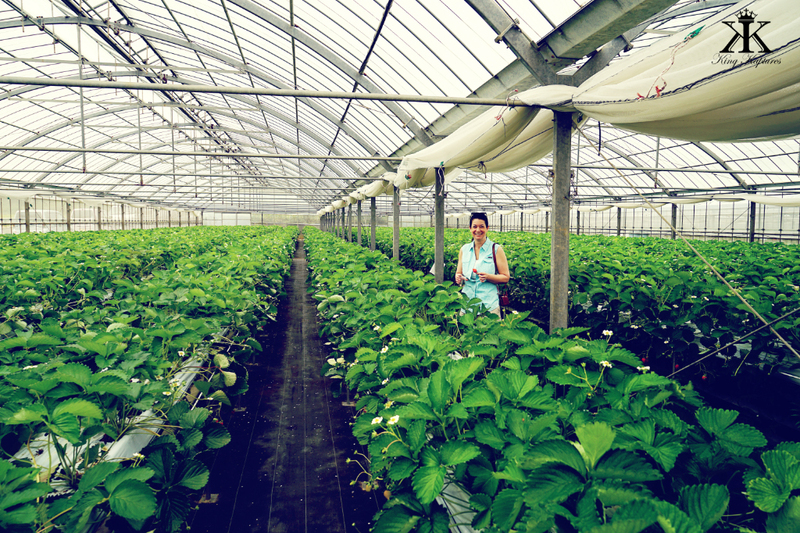 But even then, the first groups of the 1100 picking hour were already being led into one of the large, plastic-draped greenhouse. 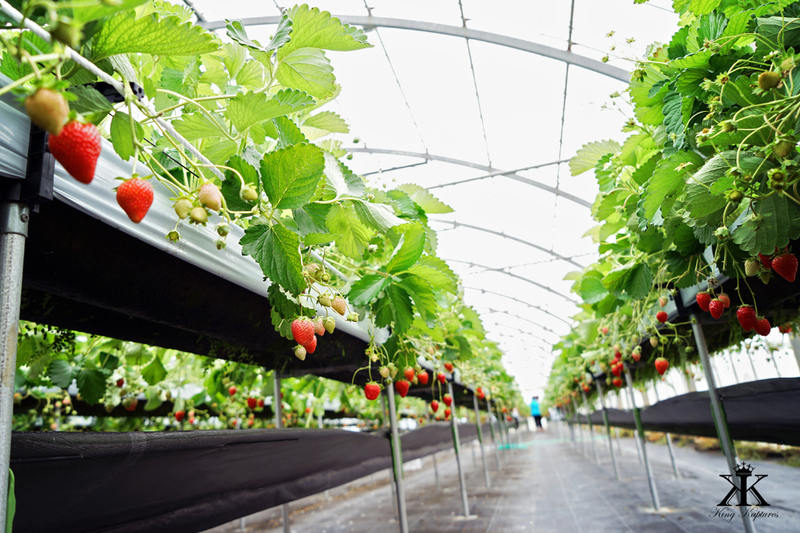 Strawberry farming is relatively new to Ginoza, starting only about the last decade. 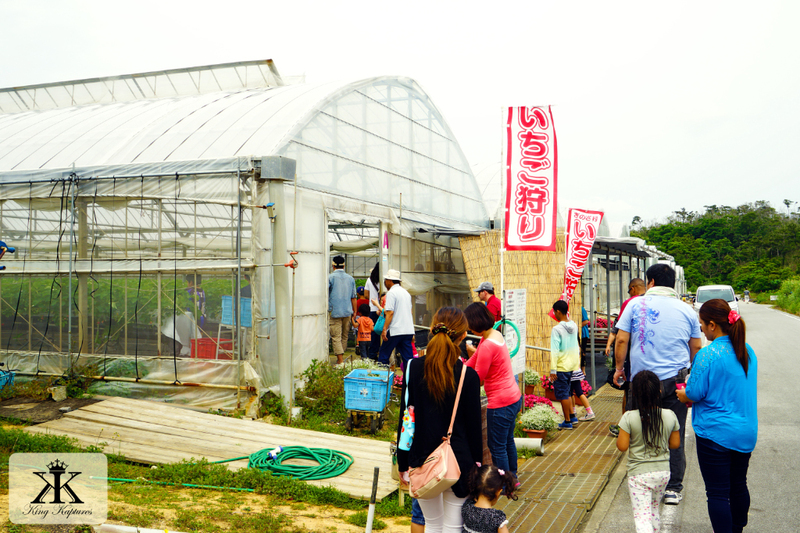 Okinawa’s harsh high heat and humidity is hard on the fruit, and strong summer typhoons and winter storms can easily damage the fragile plants. But greenhouses have changed all that. 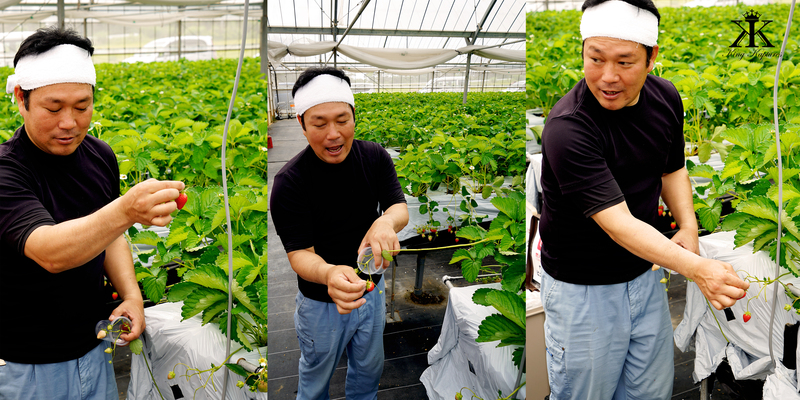 The farms on Okinawa cultivate the berries in greenhouses, which makes variations and swings in climate and temperature a thing of the past. 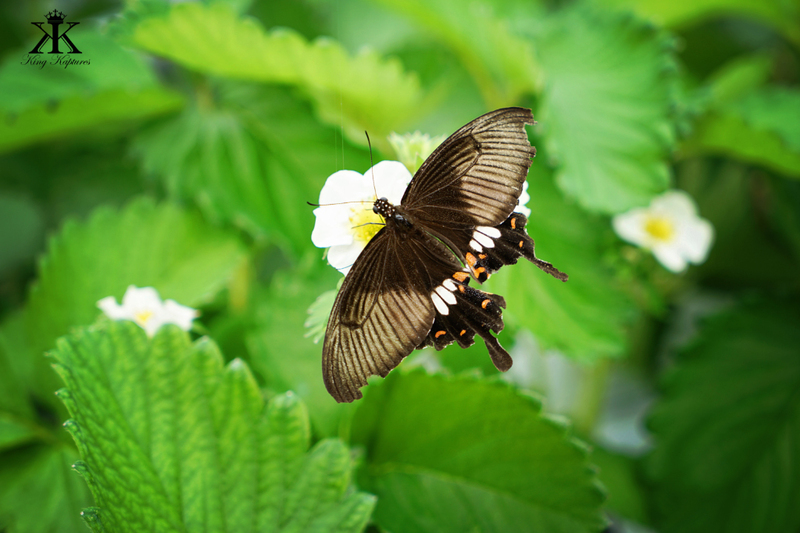 The well-sheltered greenhouses additionally offer protection from strong winds, birds, and insects. Jody and I found the registration desk, and after finding our names on the farm’s list – easy to find when you are the only English on a whole page of Japanese – we were led to a 2nd greenhouse (out of the 5 or 6 available) just opened with two Okinawan women, one of which turned out to work on-base and became our impromptu translator for the rest of the day. 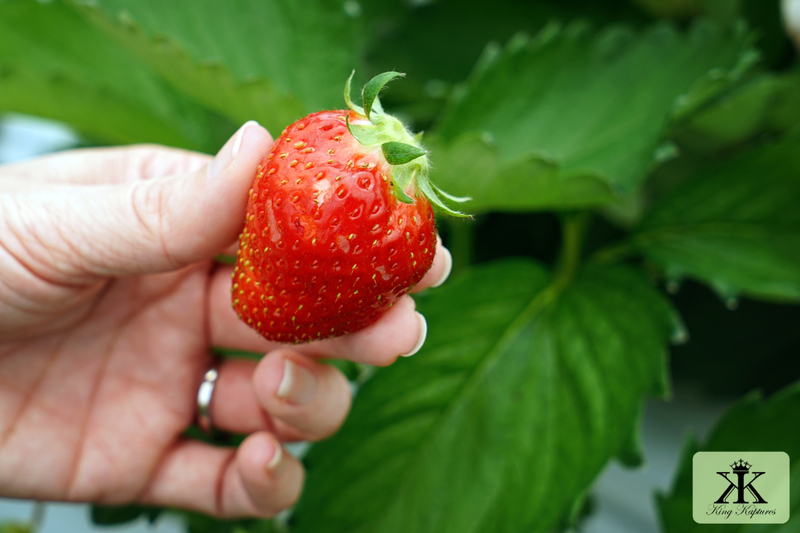 There, in our nearly private but massive greenhouse full of strawberry bushes, we were given a quick lesson in picking and eating. Remember, there is etiquette for everything in Japan! Then, with plastic cups in hand for the berries’ inedible tops, we were turned loose for the next 40 minutes to wander and wonder, all the while stuffing our faces with the seeded red deliciousness. Elevated Cultivation is the Way to Go! 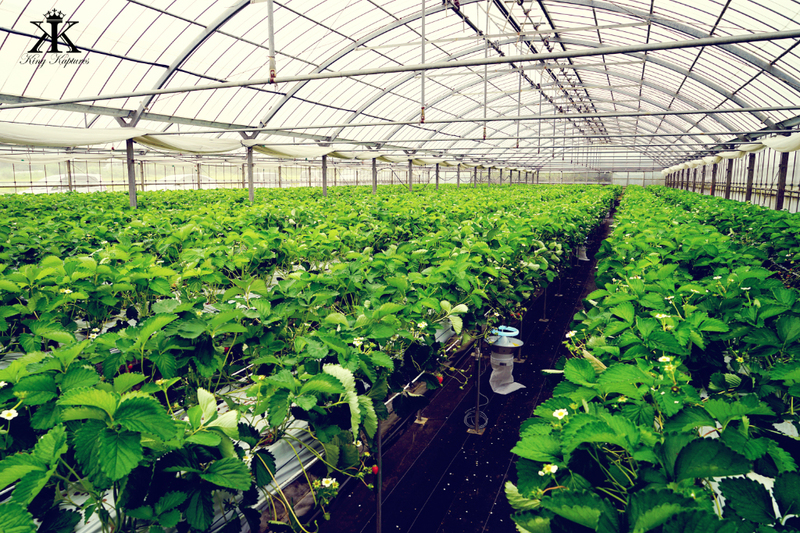 Within the greenhouses, there are two major methods of cultivation: elevated and ground level. In the elevated approach, the crop is planted in waste-high planters that offer a few major advantages over in-ground growth. 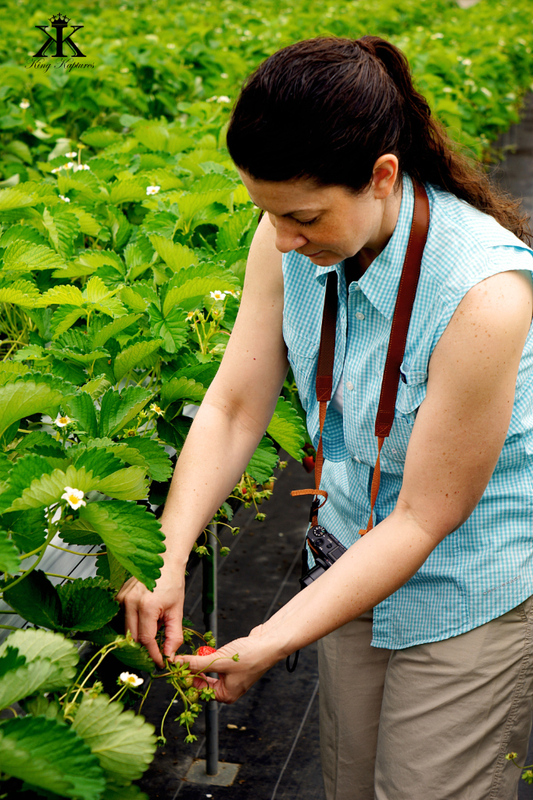 This tactic keeps the berries off the ground so that there is almost no spoilage, but equally as important, it’s easy on the lower back as no squatting or bending over is required to enjoy the fruits of your labor! Plus the ground is completely covered so there’s no worry about mud or dirtying your footwear. 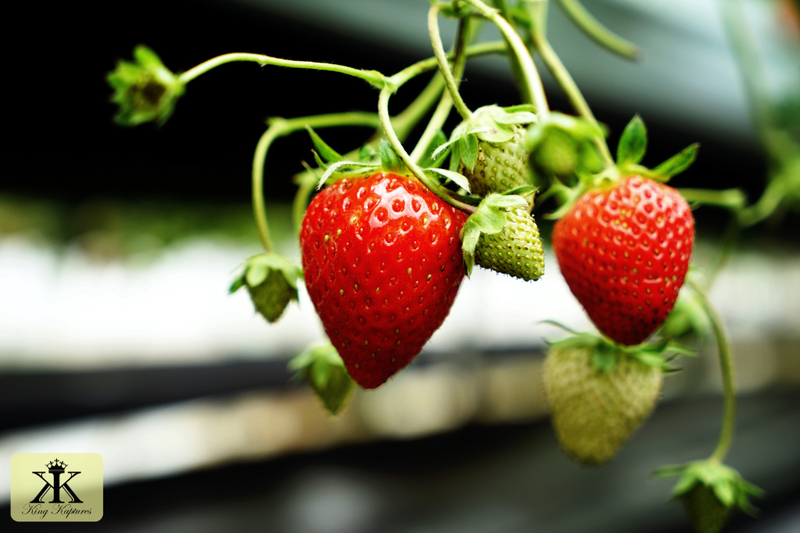 Strawberries on Okinawa are different from those found in the more northern reaches of Japan. 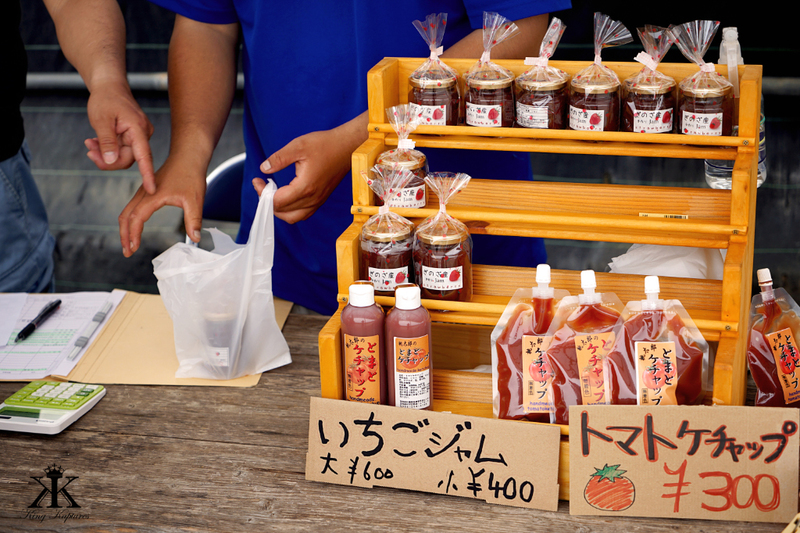 Because the sun’s ultraviolet rays are so much stronger here, the berries grown on Okinawa take on a deeper red and develop a richer, sweeter taste. 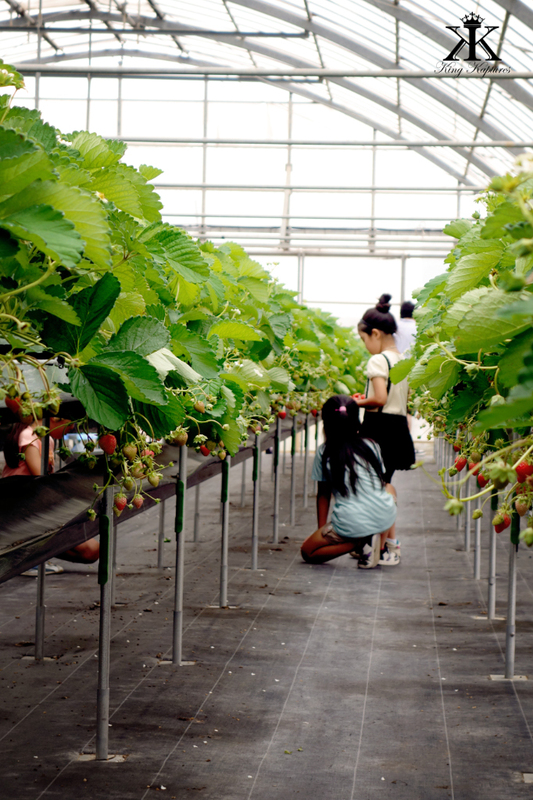 Strawberry farms, such as the Ginozason Agricultural Successors Training Center which Jody and I visited, are extremely busy in the spring, especially during the weekends. 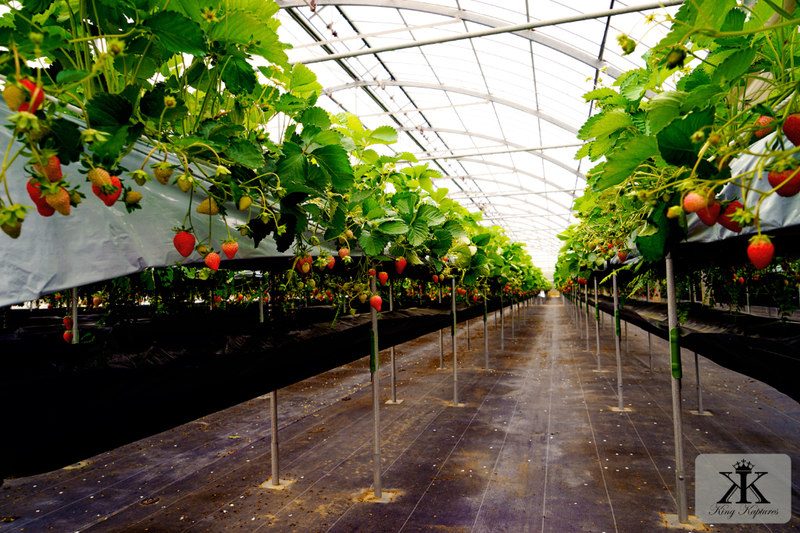 But if you confirm your reservation early, the farms in Ginoza will provide your money’s worth, not just of farm-fresh strawberries, but of the overall experience. Be sure to dress in layers; although Okinawa can still offer chilly early morning breezes, the houses will warm and with some humidity. 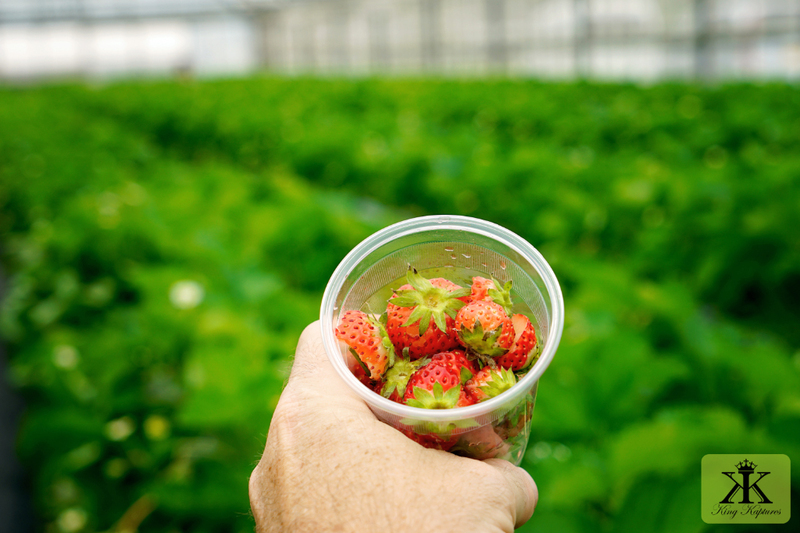 Oh, and be sure to use the facilities before you start; strawberries are mostly water after all, and forty minutes is a long time…. 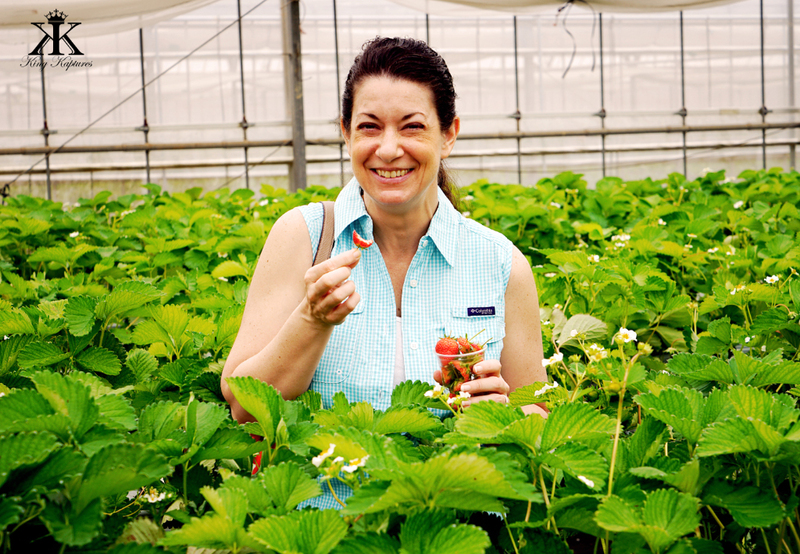 While the large plump berries will tempt you and seem to be the obvious choice, Jody and I found that the smaller, redder berries offered the most sweetness. 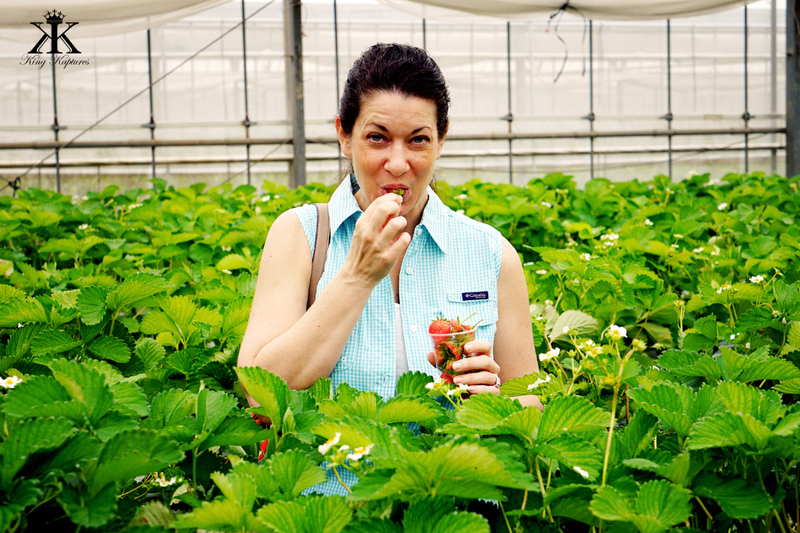 And since the strawberries here are grown completely organically, they are eaten directly off the bush. No need to worry about chemicals, dirt, or insects. 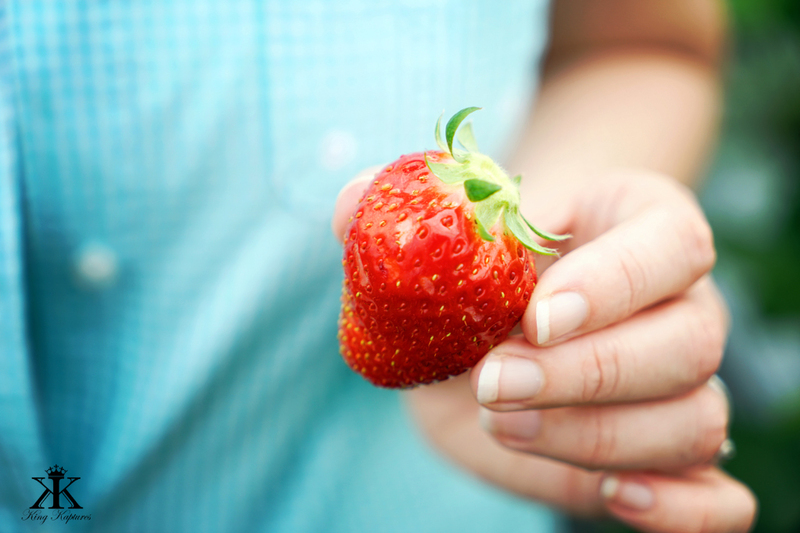 Morning is the best time to pick strawberries when they are chilled and well-hydrated from resting overnight. 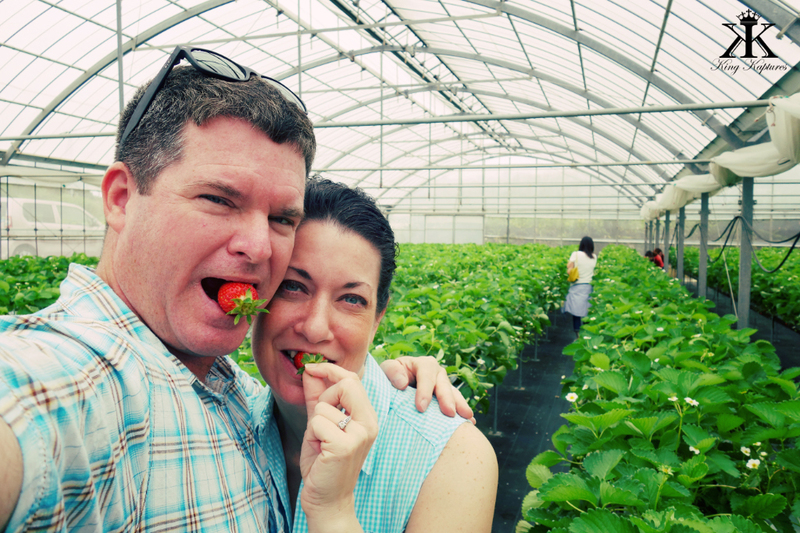 Jody and I both agree that these are the best strawberries we’ve ever had. While I usually have to add sugar to most berries in order to really enjoy them, the small sweet variety here explode in your mouth in a cascade of full flavor and almost crunchy texture. 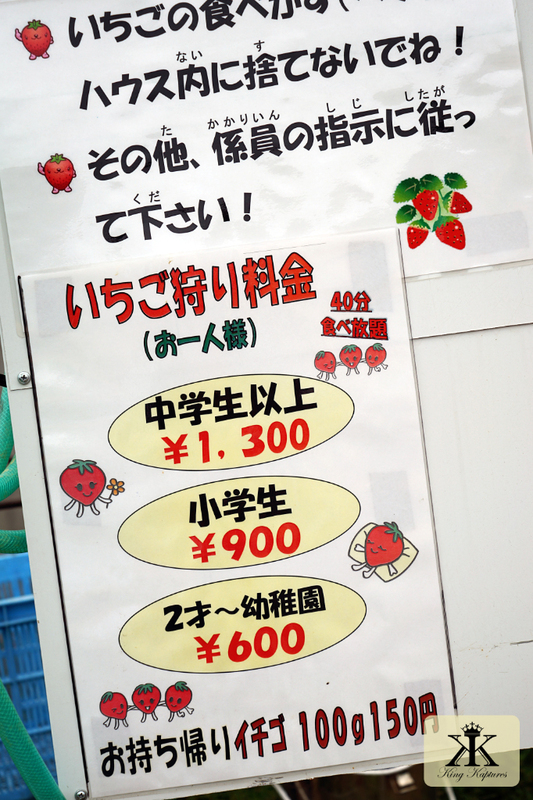 Strawberry picking is not to be missed and costs around 1,500 yen ($15) per person, but the prices vary from farm to farm. Most offer all-you-can-eat visits for 30 or 40 minutes, and few offer take-away options based on weight. 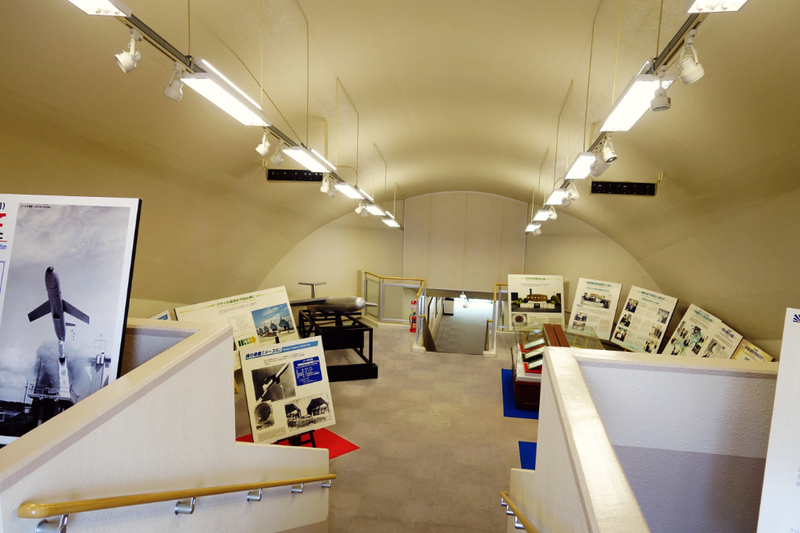 The details of the facility we visited can be found below. 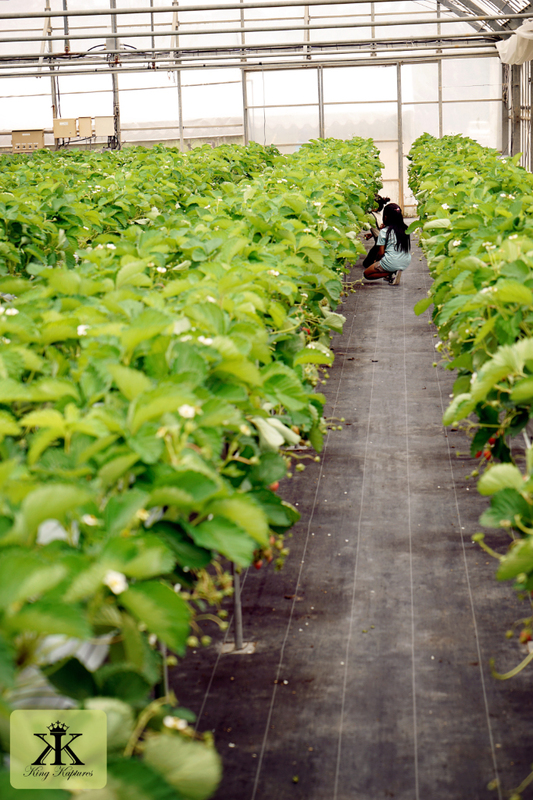 Offering elevated cultivation, the center is open late January to May, with generally three rounds of all-you-can-eat picking for 40 minutes at a time. 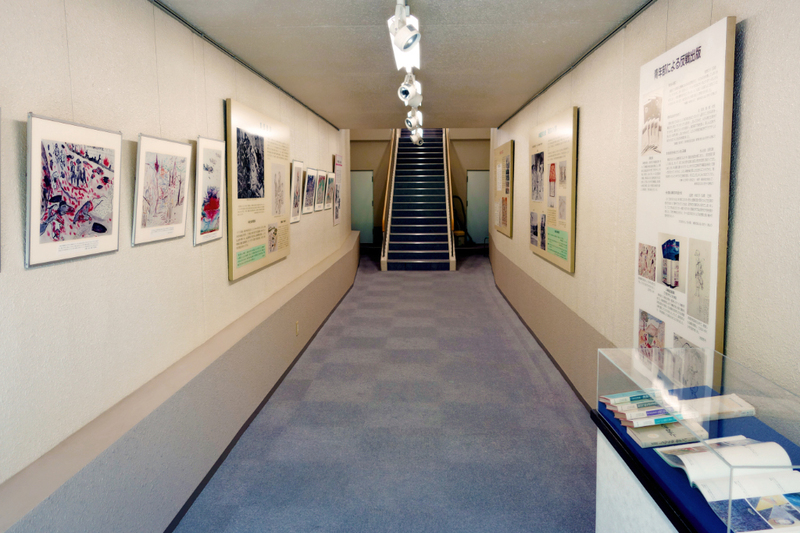 1,300 yen ($12) elementary students 900 yen, preschoolers 600 yen. Reservations are required; call 098-968-5102 for more information or see them online at ginoza-ichigo.net. Sorry, the website is Japanese only! 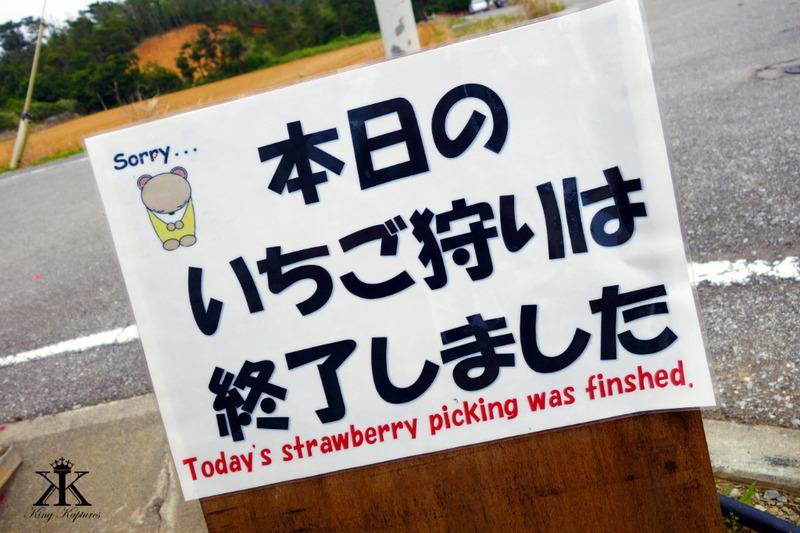 The farm, along with nearby “Ginoza Strawberry Farm” is easy to find. 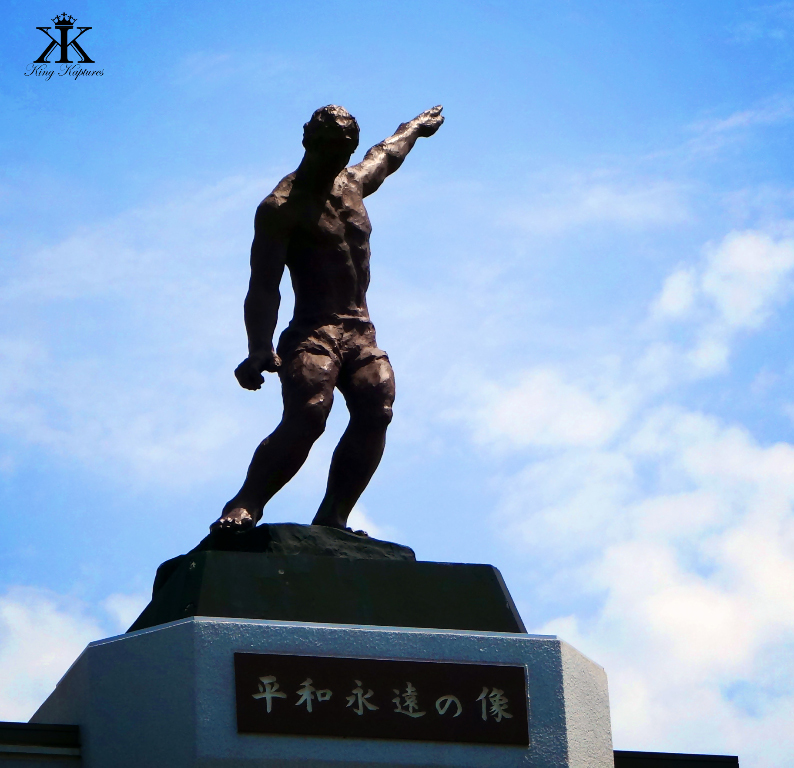 Take the Okinawa Expressway north to Interchange No. 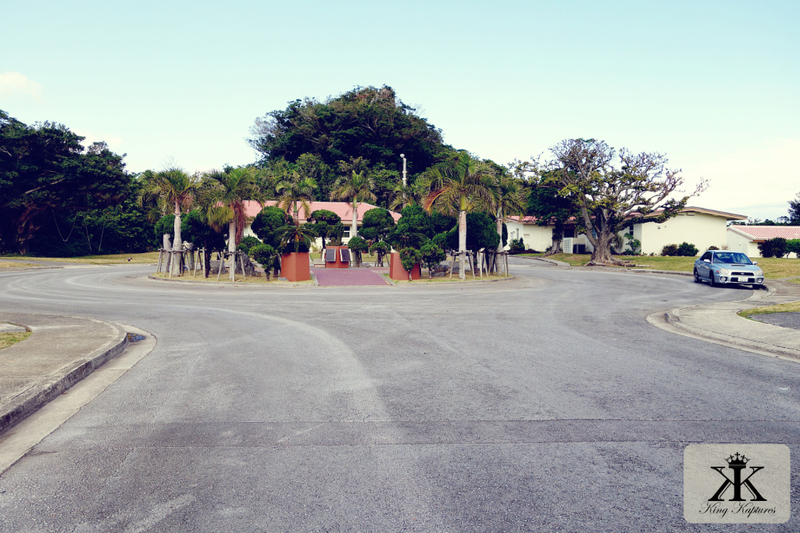 9 (IC Ginoza), and follow the exit ramp past the tollbooth to your first left. After making the turn you’ll come to a large baseball park and stadium. 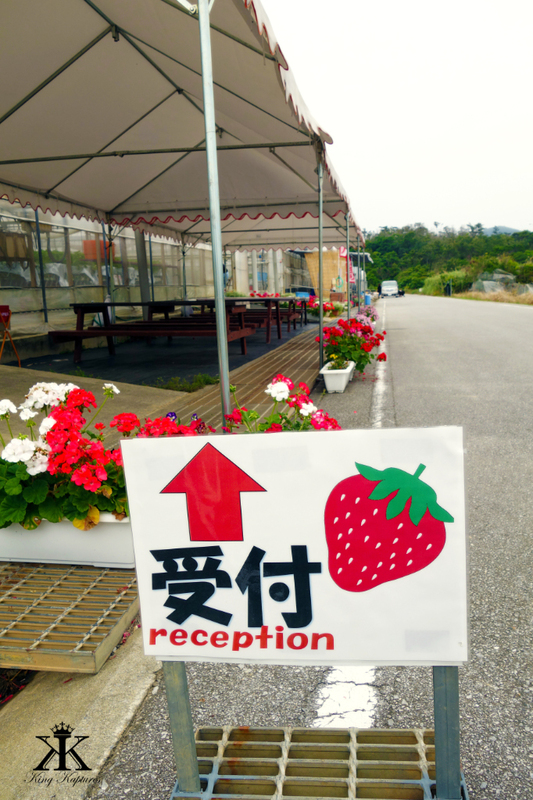 Here you’ll see signs featuring strawberries along the road directing you to the farm area, which requires a few twists and turns along back country roads. Once you’re close, parking is along the roads wherever you can find it. 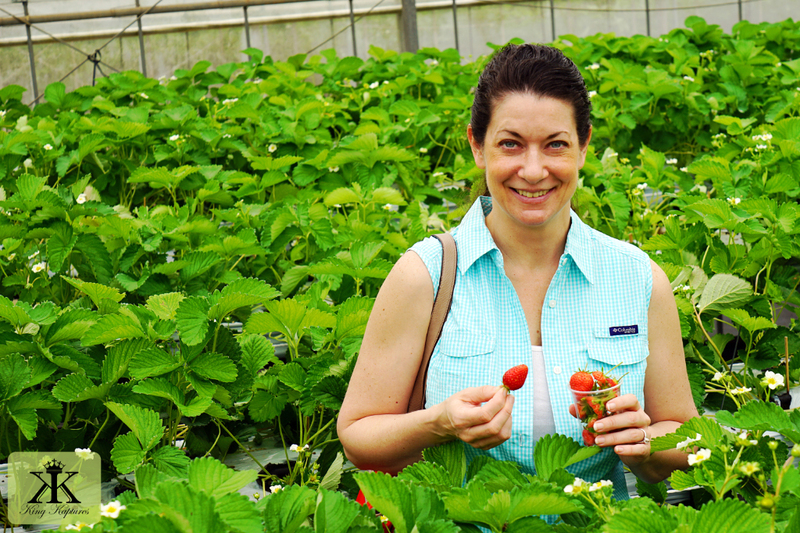 See more strawberry picking photos here in my Flickr Photostream. I had driven by this “tomb” probably at least 50 times, and with each pass, my curiosity grew. 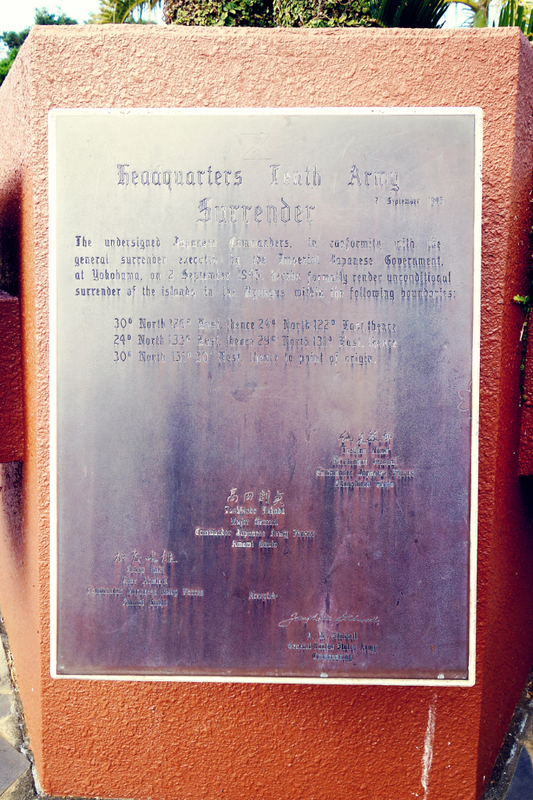 Who was this blacksmith, and who was responsible for placing and maintaining this sign on an active United States Army station? And where exactly was his tomb at this site? All it appeared to be was a small rise in the ground, serving as root foundation for a very large shade tree and associated sub-tropical jungle. 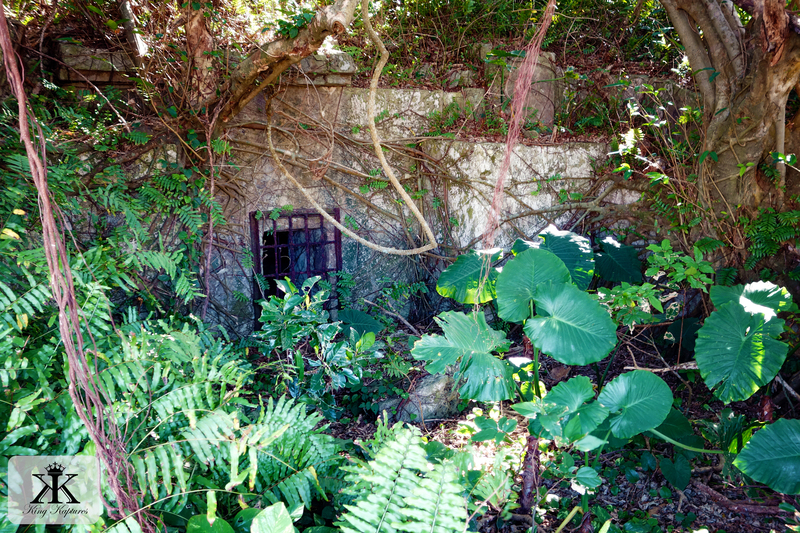 Deciding to stop and explore his resting place on foot, I realize that this tomb appears to be very old, and basically has been reclaimed by nature. 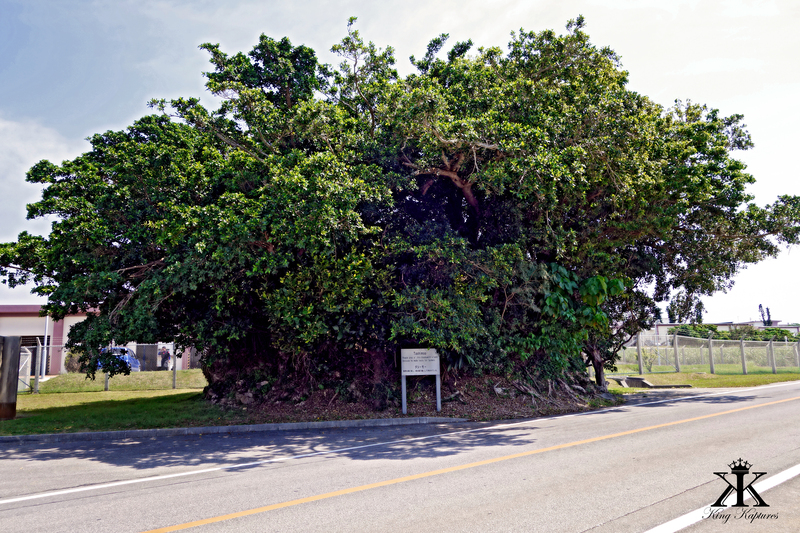 Oddly situated next to a modern American style gas station where a woman was loudly vacuuming her car, I can find no real trace of what I would consider an Okinawan tomb, at least not like those ubiquitous turtle-back mausoleums seen all over the island. 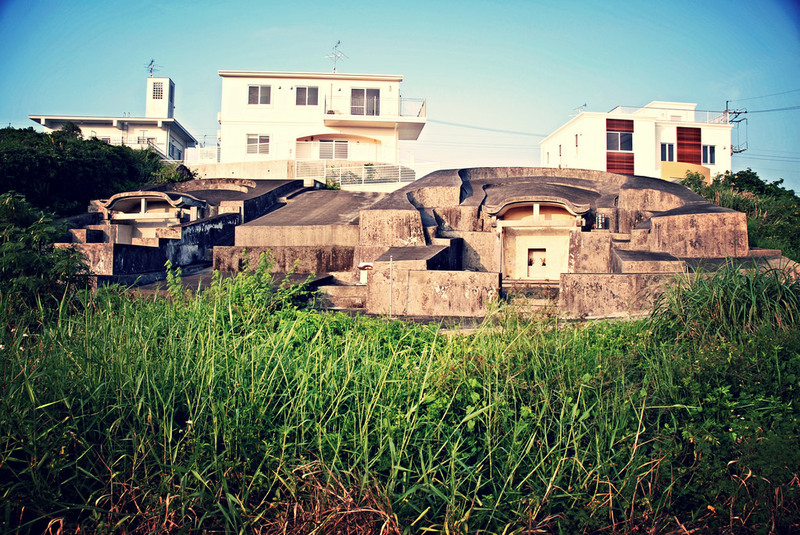 Turtle-back tombs are exactly one of those things that make Okinawa…oh so Okinawan. They line hillsides along the coasts, prime property for what in essence are neighborhoods of the dead. 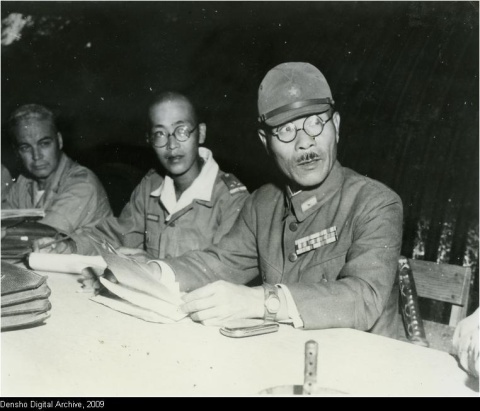 But they are not seen in other parts of Japan; they were introduced only in the Ryukyus through Okinawa’s long and prosperous seafaring tradition with China. 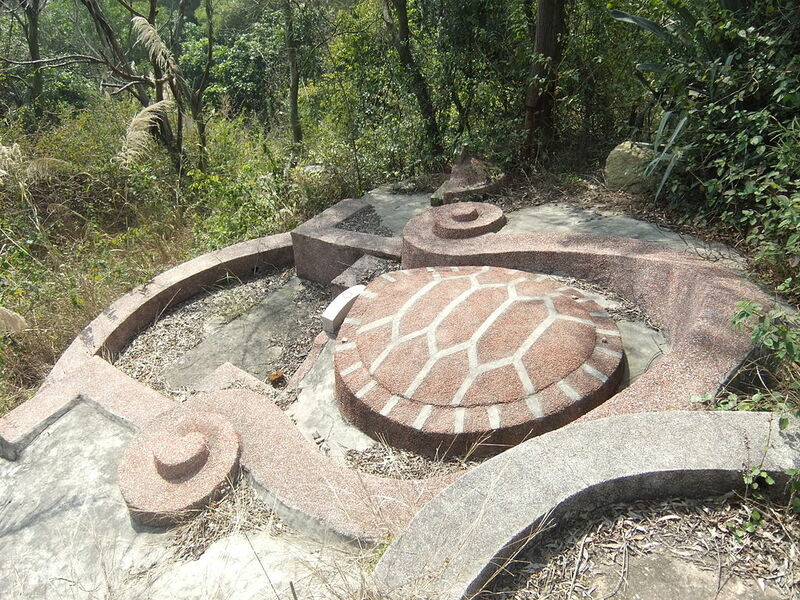 Turtle-back tombs or turtle shell tombs (Japanese: 亀甲墓, kamekō-baka) are a particular type of tomb commonly found in some coastal areas of China’s Fujian Province and in Japan’s Ryūkyū Islands. In the original Chinese form, the tomb main chamber’s roof is made to look like the carapace of a tortoise. 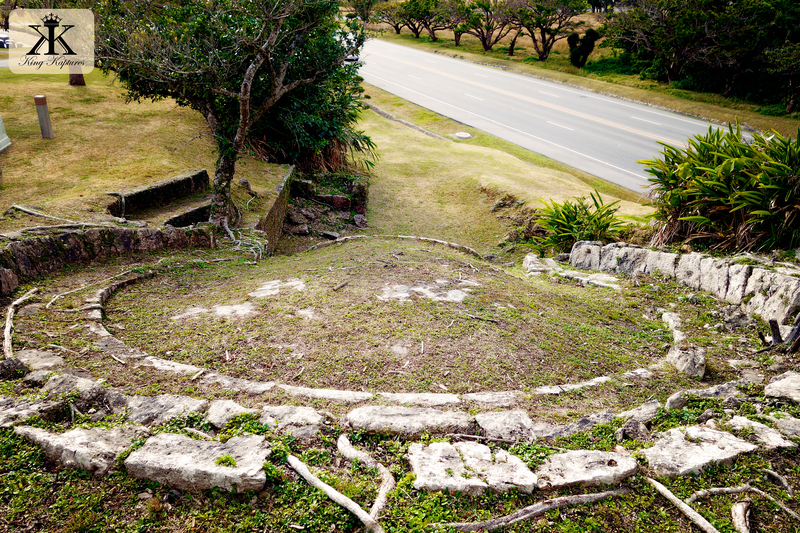 A vertical stone tombstone bearing the name of the deceased is placed where the turtle’s head would be, and serves as the “door” access to the burial vault. 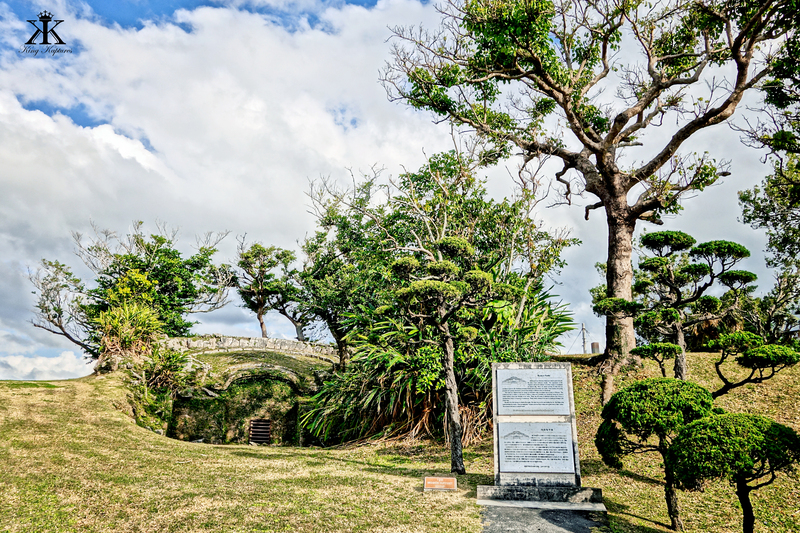 In the Ryūkyūan island chain, the turtle-back tombs are thought to have been introduced from China in the late 17th or early 18th century, but there are academic claims that reach back to their origins in Okinawa to the 15th century. 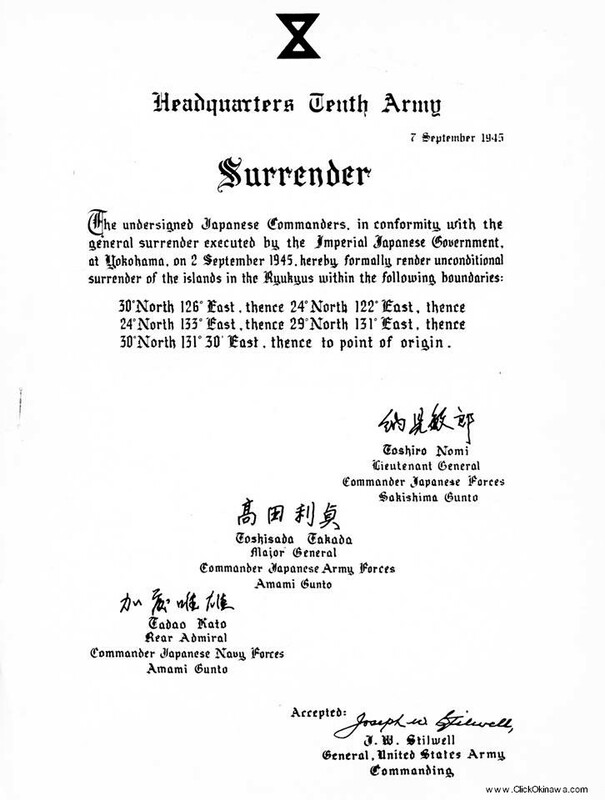 The Ryūkyūan version has the same overall shape and layout, but on a much grander scale. 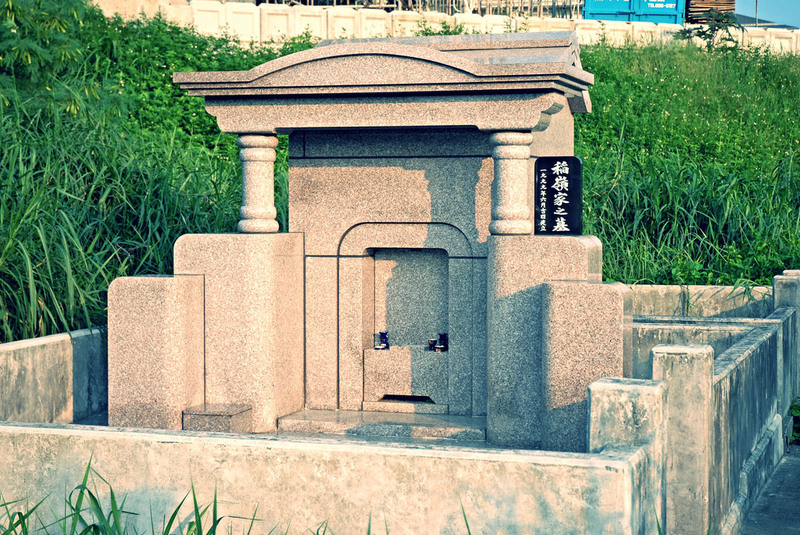 Whereas in China the tombs are for individuals, in Okinawa the enhanced size of the body of the “tortoise” serves most often as a family tomb. Why a turtle? In China, the turtle has long been considered a sacred animal. The reptile’s shape, with its flat plastron (the belly of the turtle) below and its domed carapace above, is said to represent the universe, at least as it appeared to ancient Chinese. 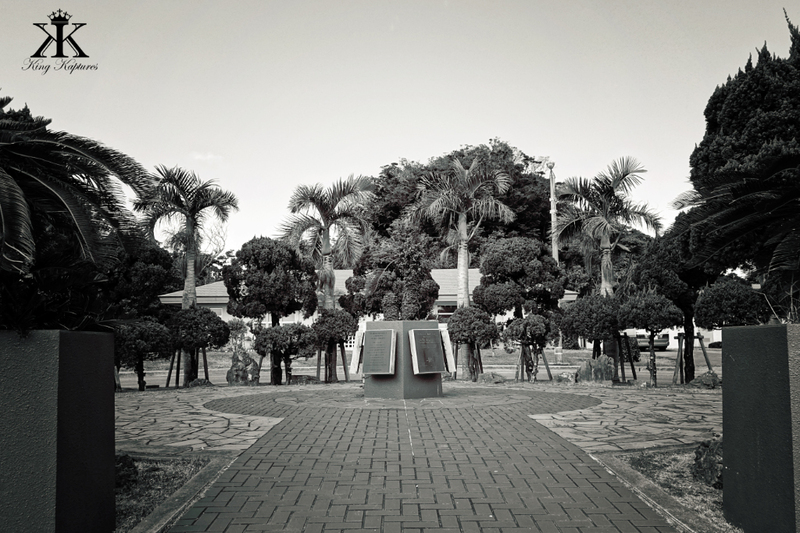 But the interpretation in the Ryukyus has the tomb shaped to resemble a woman’s womb. One of the Eastern Buddhist ideas surrounding death is that it is only another form of rebirth, or a means of returning from whence you came. 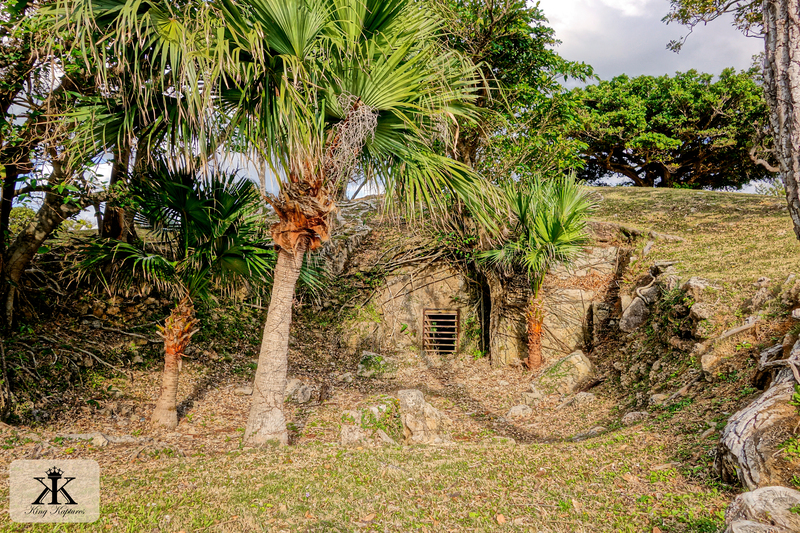 By the 20th century, the turtleback tomb became the predominant burial chamber in most of the Ryūkyū Islands. 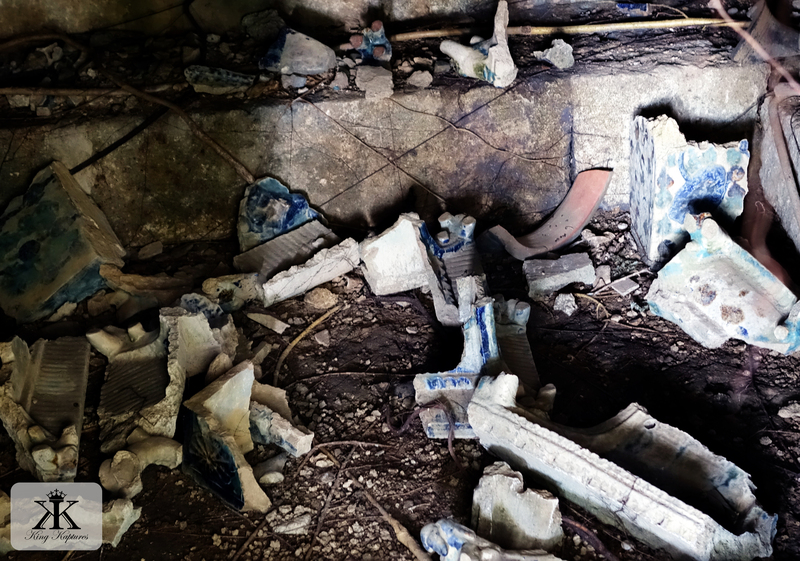 These tombs contain a burial vault, where bones of many generations of a particular family could repose. 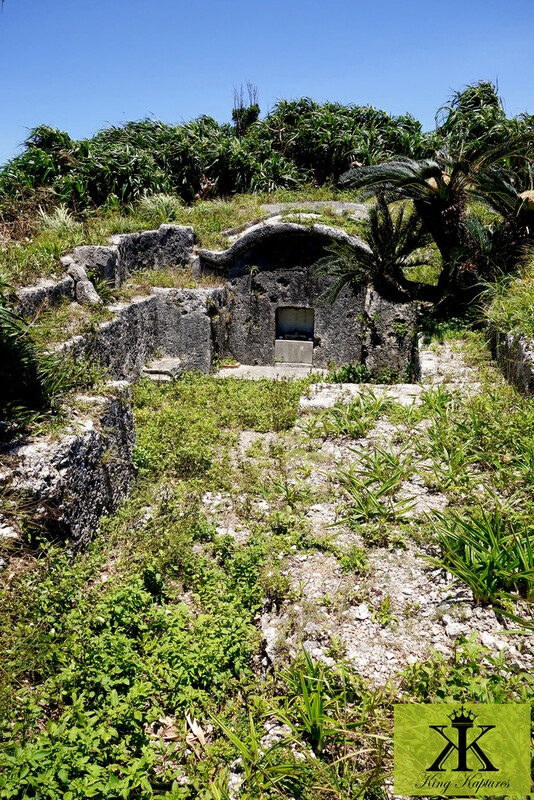 In the long-standing tradition of burial in Okinawa, a coffin and body are placed in the central part of the tomb and the vault is sealed with a massive stone. 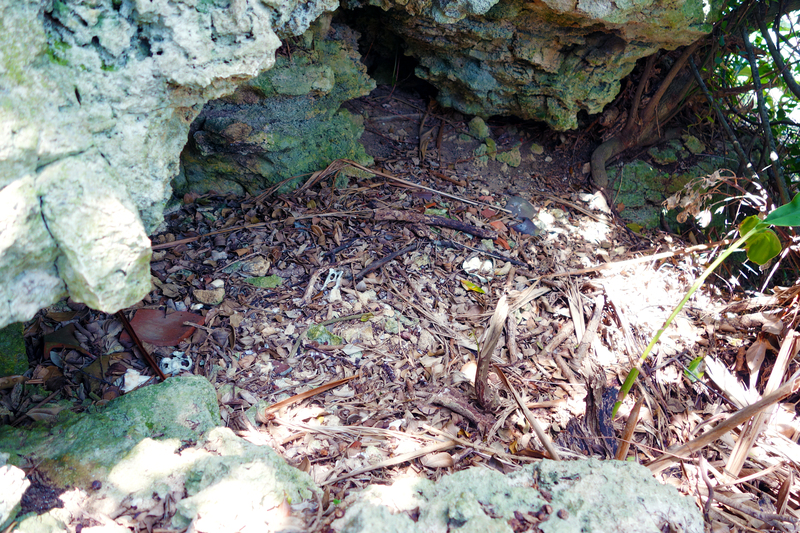 The newly deceased remains there for some number of years until wholly decomposed. 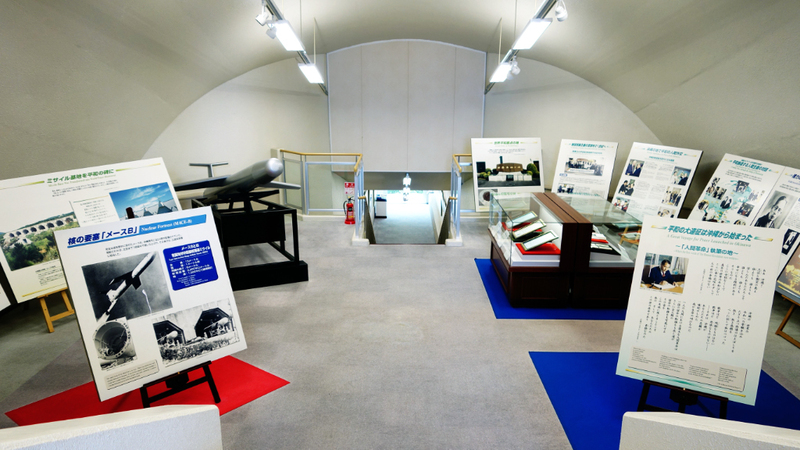 At that point, the bones would be washed, usually by young female relatives of the deceased, placed into a large earthenware vessel, and stored on shallow tiered shelves lining the back and sides of the vault’s interior based on seniority. 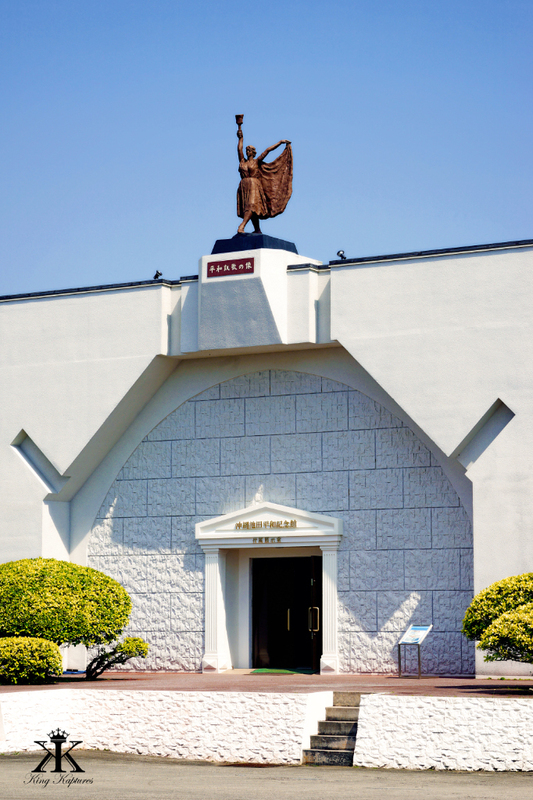 Larger tombs offer up to 150 square feet of burial space. 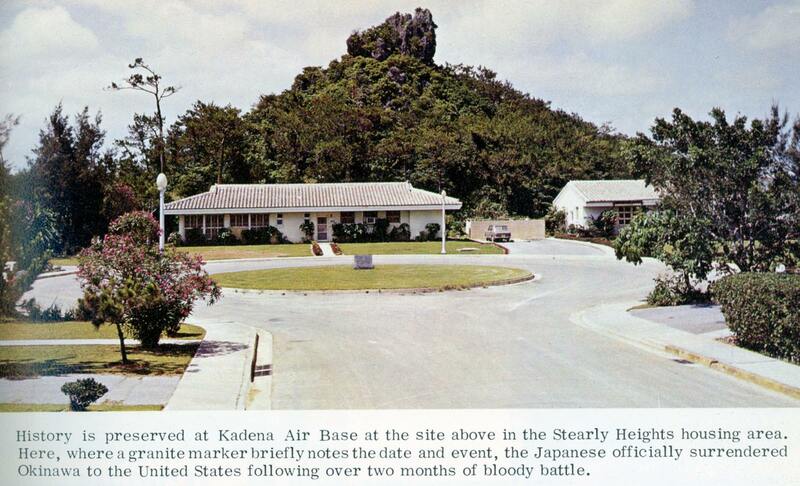 There are large preserved tombs on Kadena AFB, complete with placarded information. Stopping there one day, I find a substantial picturesque tomb and a brief, generalized explanation describing the aged, intriguing structure. 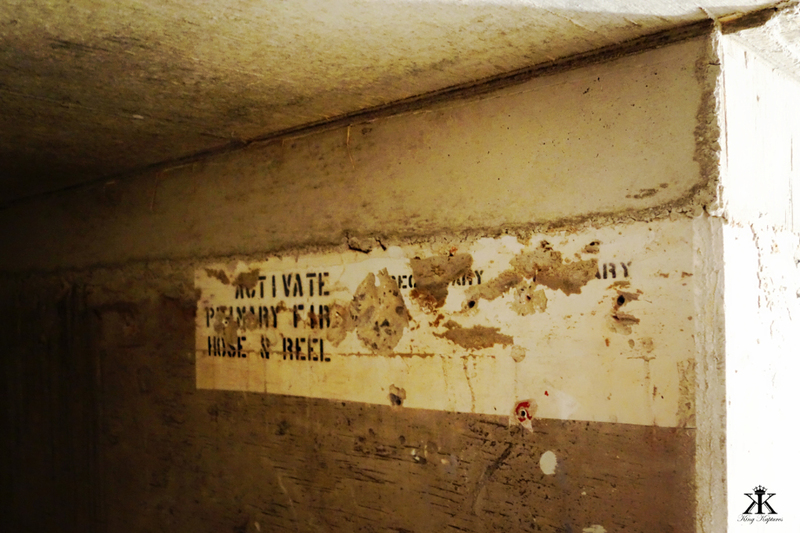 Although the signage claimed that the tombs were still being utilized today, a closer inspection of their interiors clearly shows that no one is home, living or dead. 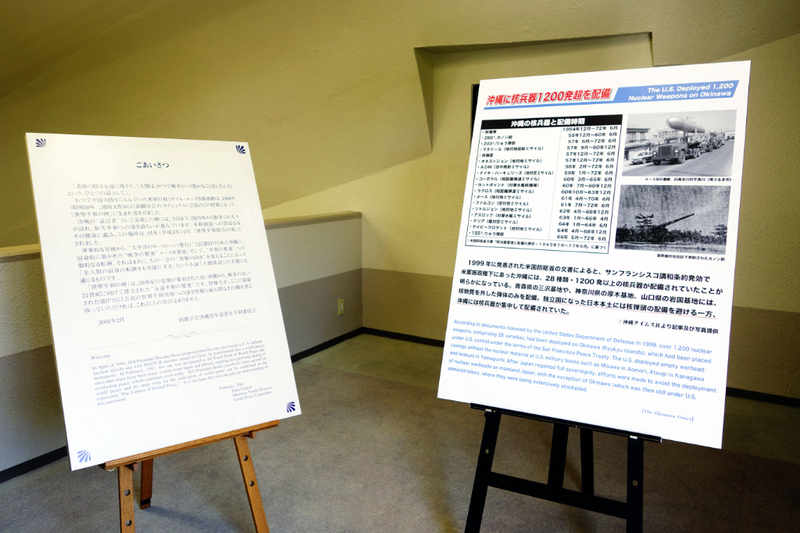 I can only imagine, perhaps, that the family was whipped out in totality during the Typhoon of Steel which occurred here back in 1945…. 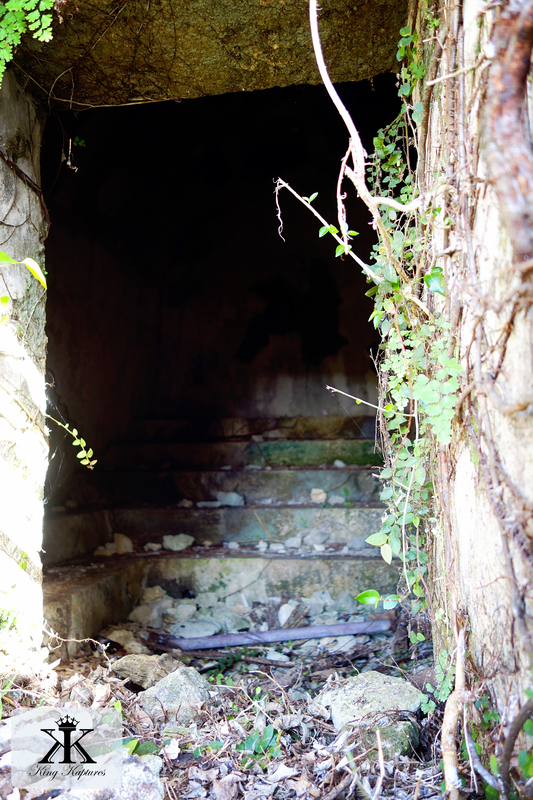 That spring, during the Battle of Okinawa, many Okinawan civilians sought refuge from naval and air bombardment of the island inside their ancestors’ tombs (as they also do for typhoons). 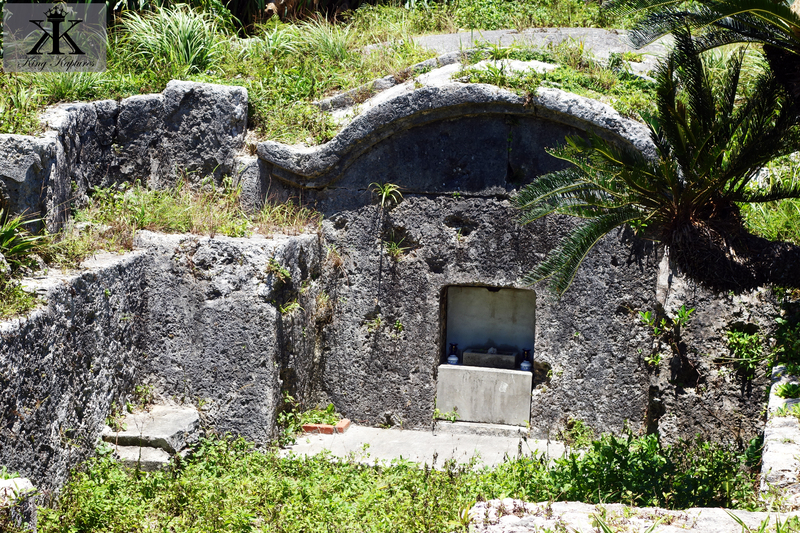 Later, many of these tombs were also used by the Imperial Japanese defenders of the islands in essence as reinforced fighting positions. 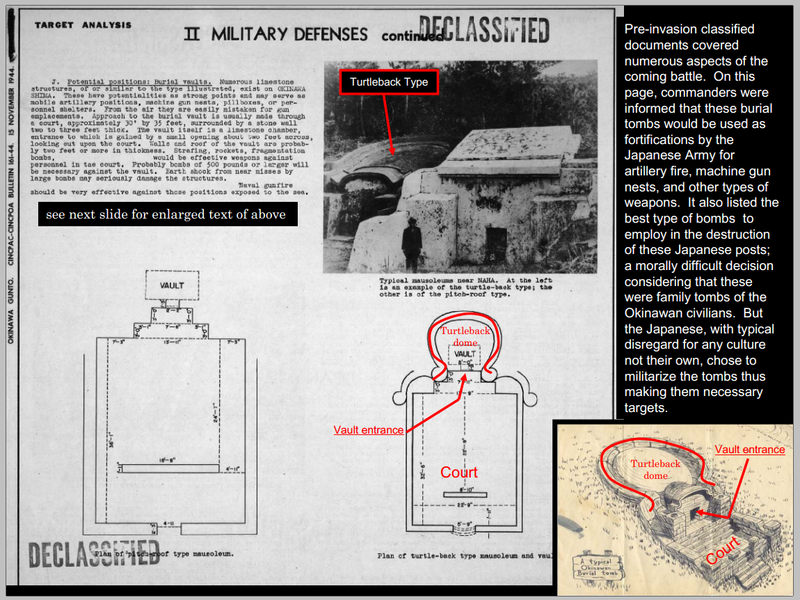 (See Turtle Back Tombs for an excellent overview of the role the tombs played in WWII) Pre-invasion military analysis of Okinawa included instructions on the explosive firepower required to destroy such tombs. 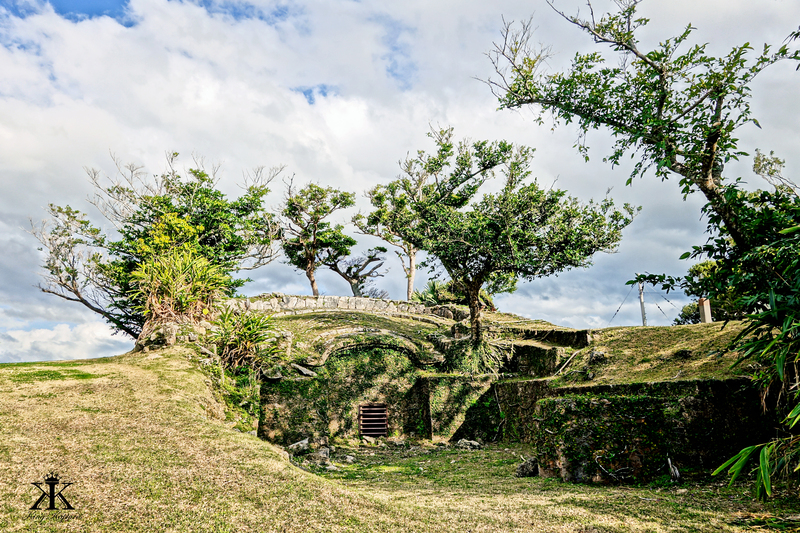 When you consider the propensity of the Japanese to use the tombs in military roles, grave danger emanated from the literally thousands of turtlebacks that dotted the island of Okinawa. 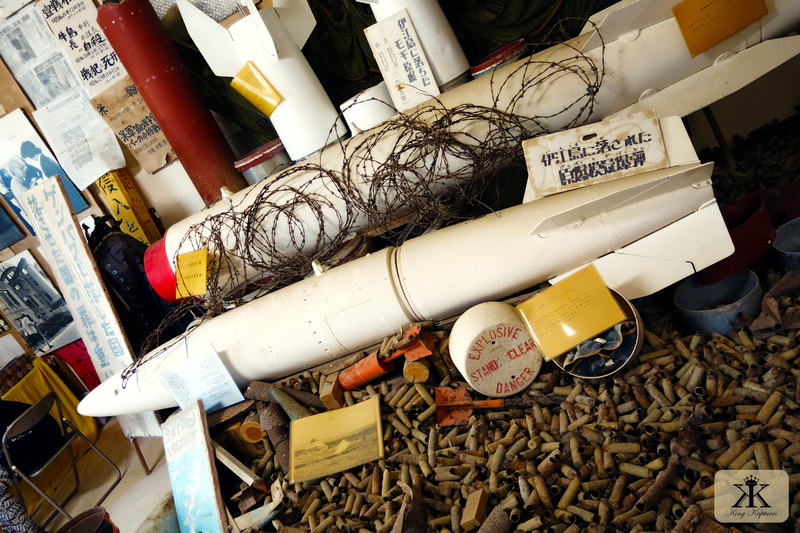 Unfortunately, war often presents just such dilemmas: should the destruction of local culturally significant sites be avoided at the risk of increased casualties, or should they be leveled to discourage their use and save as many of the invasion force as possible? 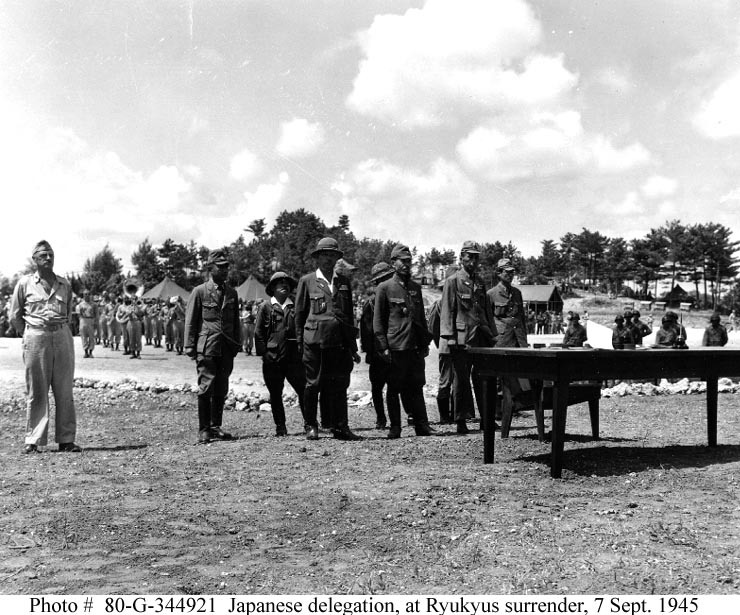 The way it went, it is the Okinawan people who suffered most. And doubly so. 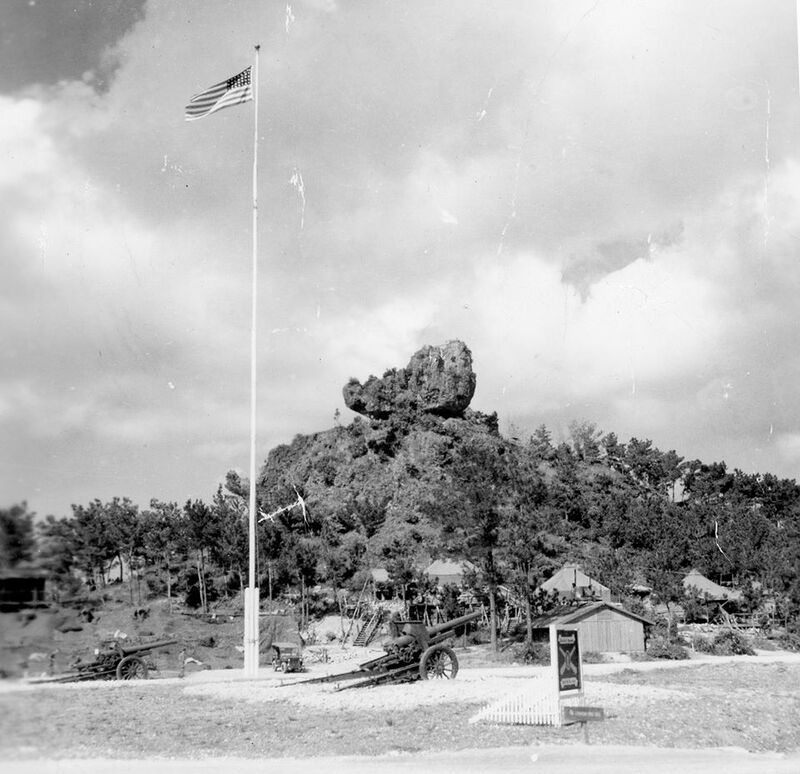 The Japanese, who cared nothing for the welfare of the Okinawan people, occupied, militarized, and sacrificed this island chain as a way to simply slow the Americans down on their march northward to the Japanese homeland. 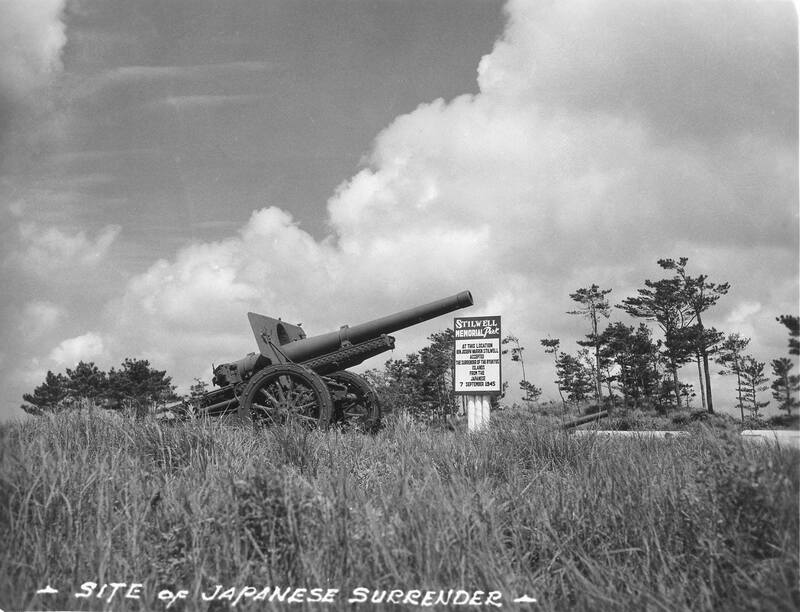 The Japanese were directly responsible for the destruction of almost every important Okinawan cultural relic, either by their own hand or by placing such sites in the crosshairs of the American invasion force. 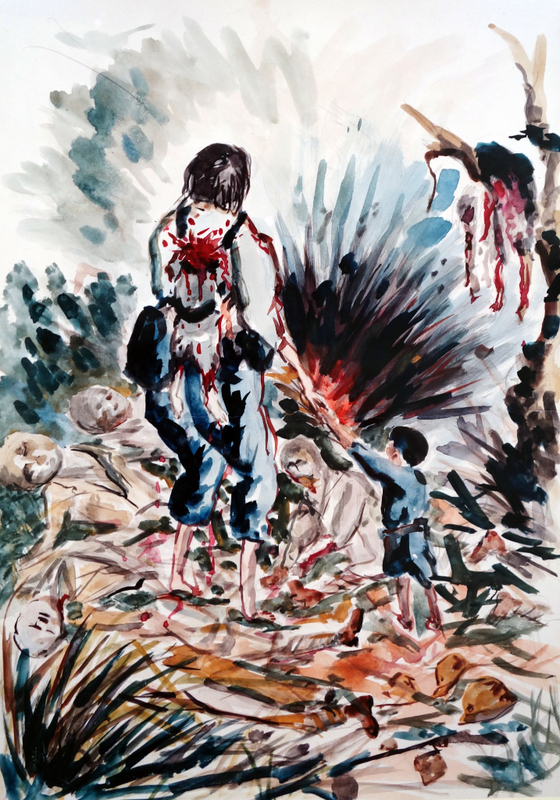 The desecration of tombs – many which were destroyed on the mere suspicion of being military strongholds or hideouts – was a terrible and lasting affront to the Okinawans. 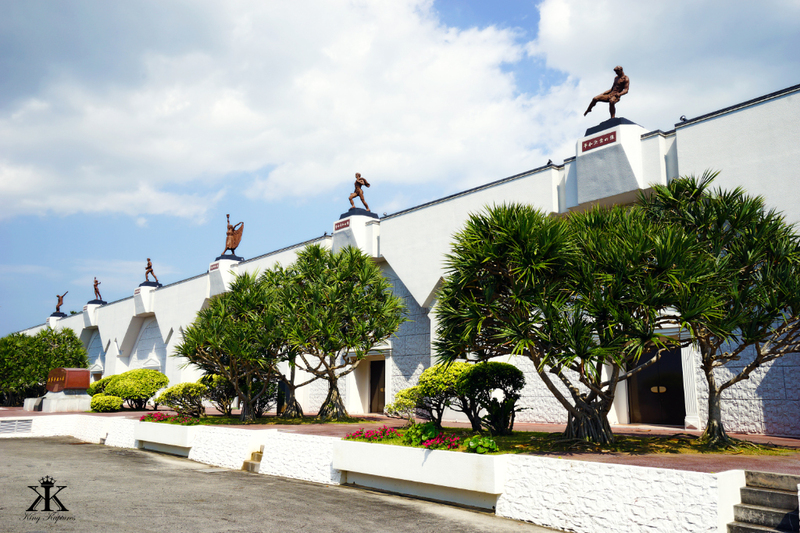 In Okinawa, where highly superstitious and spiritually attuned people actively engage in ancestor worship, the tomb is not only a place for resting the dead, but a place of tangible joy and transcendent comfort for the living. 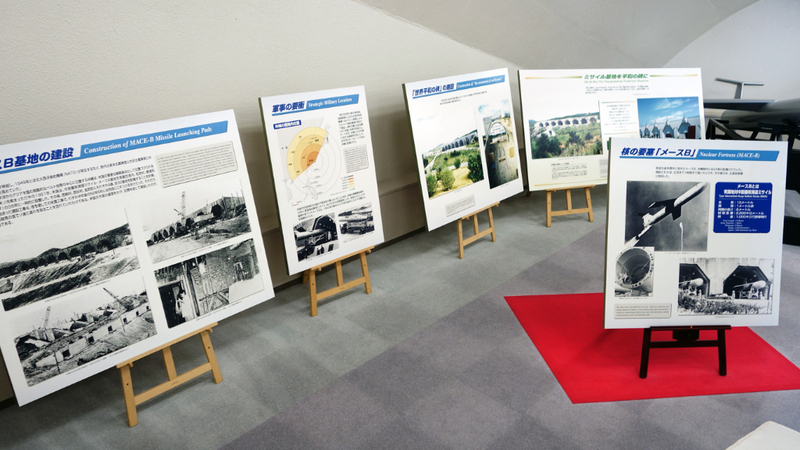 One such event is known as Shiimii. 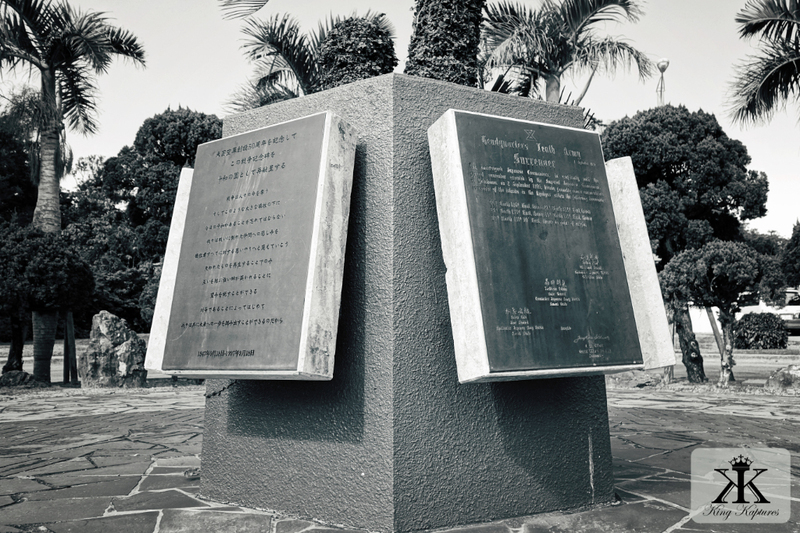 Each spring at the beginning of the third Lunar month (the Okinawans still use the traditional Chinese measure of time to mark cultural events) Okinawans participate in memorial services of a sort for their ancestors. 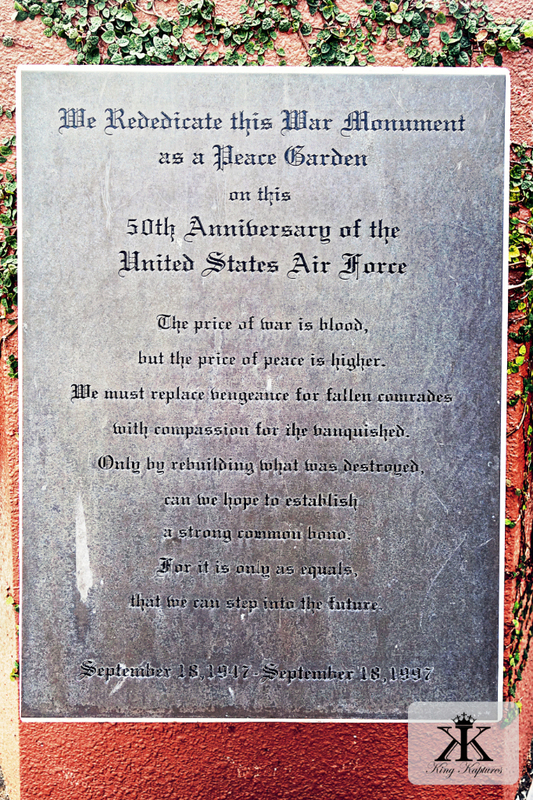 But these observances are much less solemn that you might think. 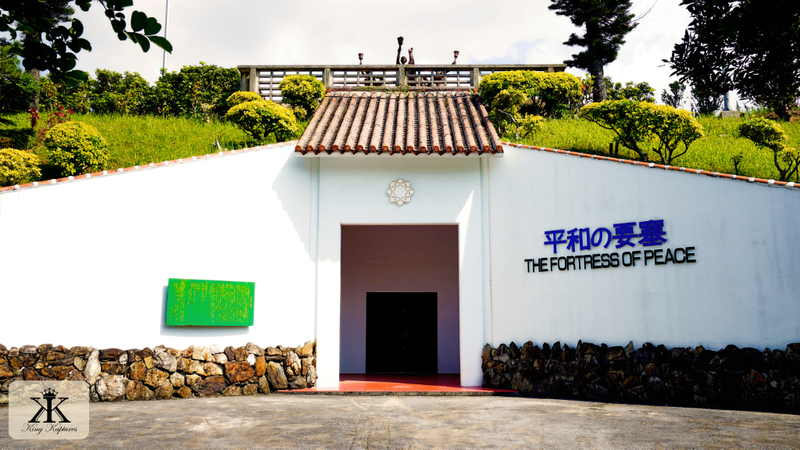 The practice is, of course, based on Chinese traditions passed along to the Ryukyus with the Chinese tombs. 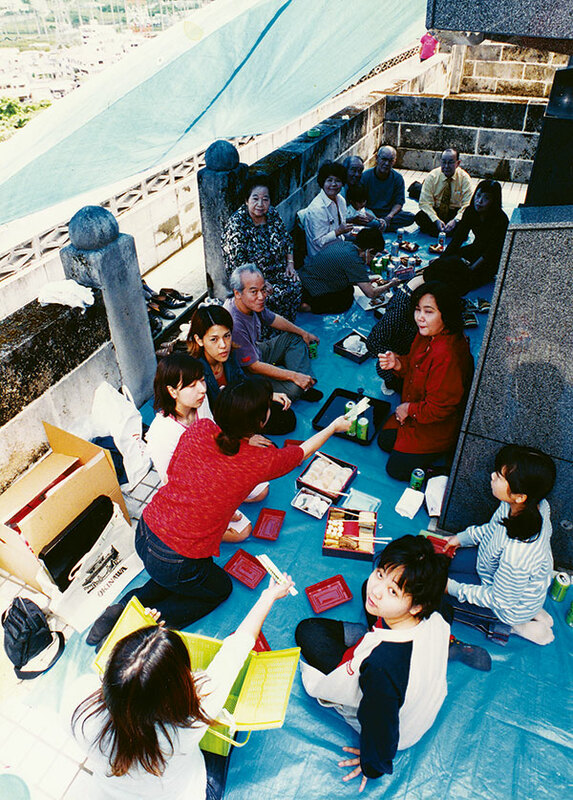 During this festivity, blood relatives gather at tombs in a family reunion, but one which includes both the living and the dead. The entire site is cleaned and neatened; weeds are pulled, trees are trimmed, bushes cut back and debris and trash removed. Irritated forebears, upset at the tidiness of their eternal home, are believed to cause illness or even death when their descendants don’t take good care of the family tomb or participate in important annual ceremonies which take place there. 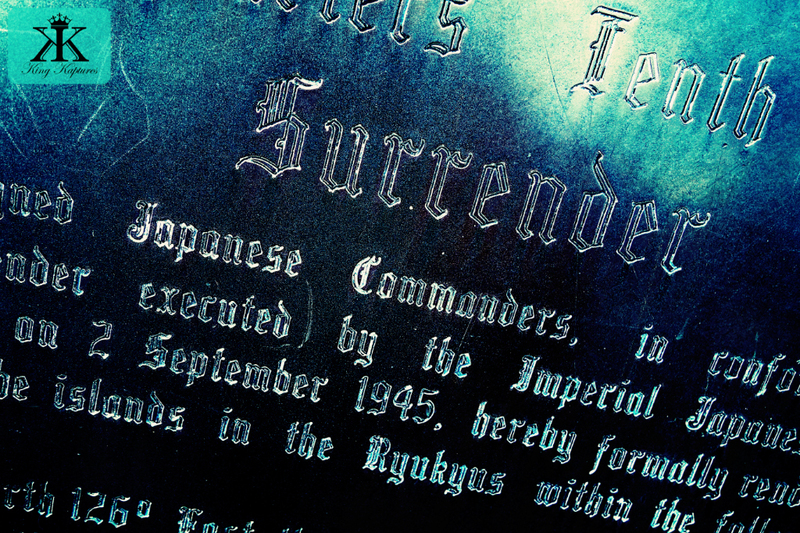 See Banzai for more on the rituals and rites of honoring the dead in Okinawa. 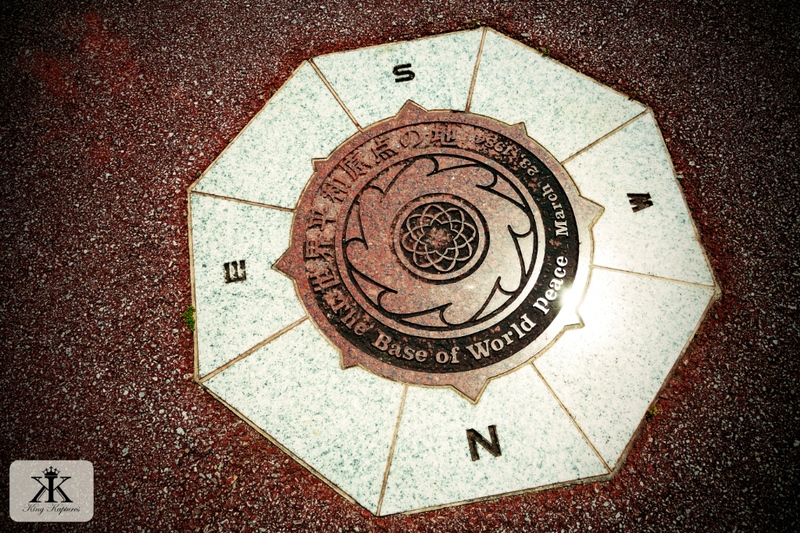 Once the site is presentable, a brief ceremony is held which includes prayers and the burning of imitation paper money for the dead to use in the coming year. Then a picnic is enjoyed at the tomb. Family members unpack special Okinawan ceremonial foods like mochi, fruits and pork, along with beer, saké and awamori. Offerings are made first to the resident ancestors, and then the extended family consumes the rest graveside. Children are seen laughing and playing while the adults appreciate their adult beverages. Often a strummed sanshin, the traditional Okinawa three-string instrument, offers a musical background where time-honored folk songs are sung in hogen, the local dialect. 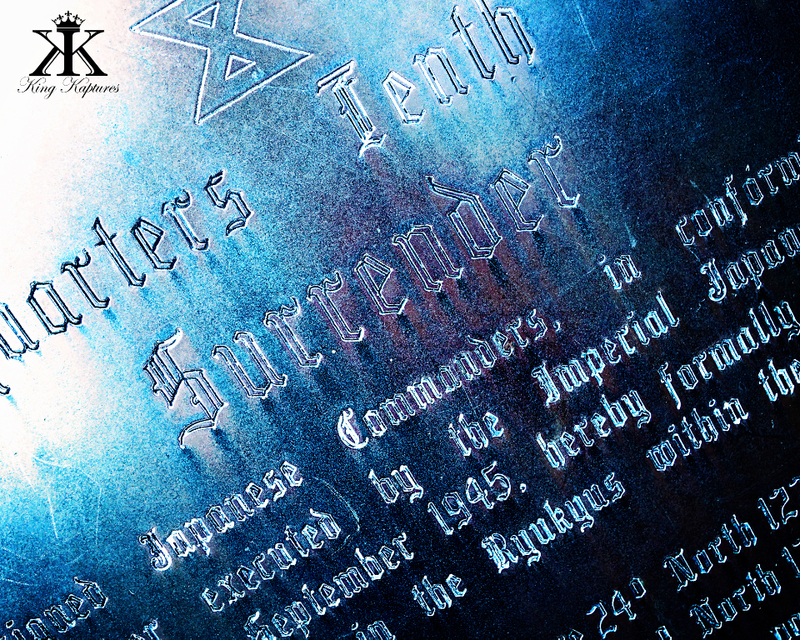 This joyous time, one which strengthens and reaffirms kinship and ancestral ties, is cherished by the Okinawans. 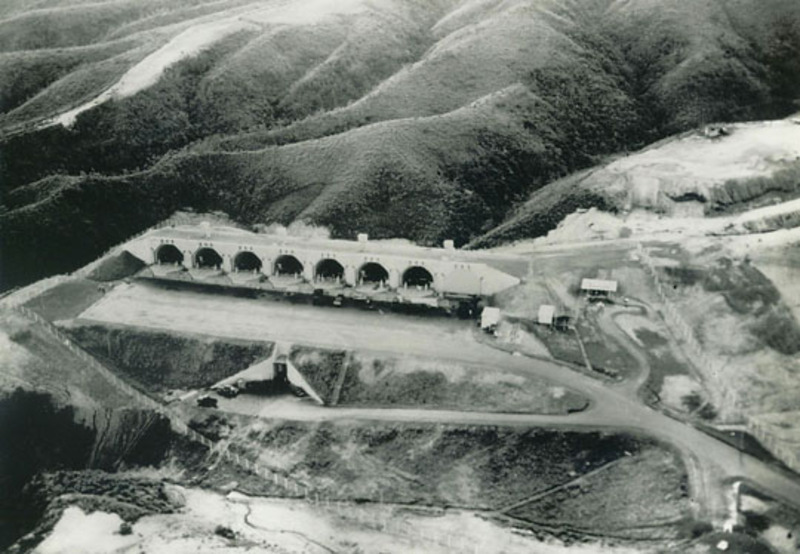 But there’s less and less of the turtleback tombs being constructed on Okinawa. 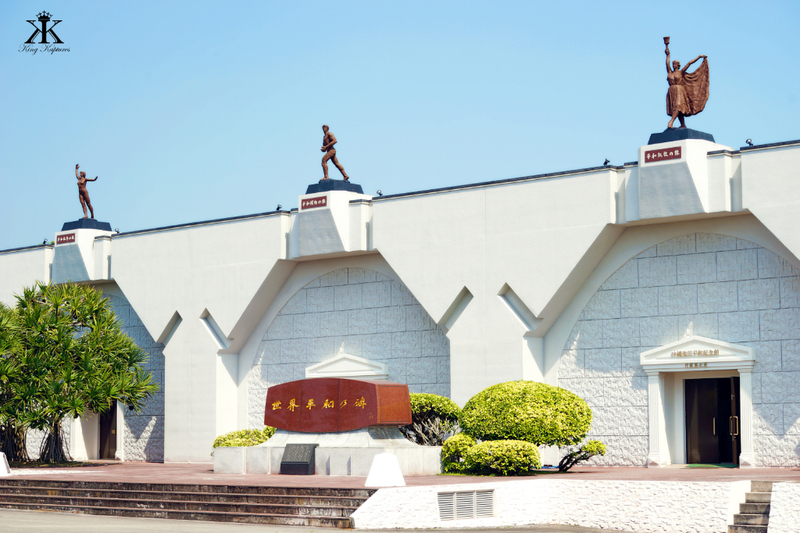 More recent trends, given the exorbitant cost of purchasing land and building large kamekō-baka are to build gables, smaller tombs that more resemble a shrine or small home than animal. And given the reduced floor space available, cremation is now the norm. 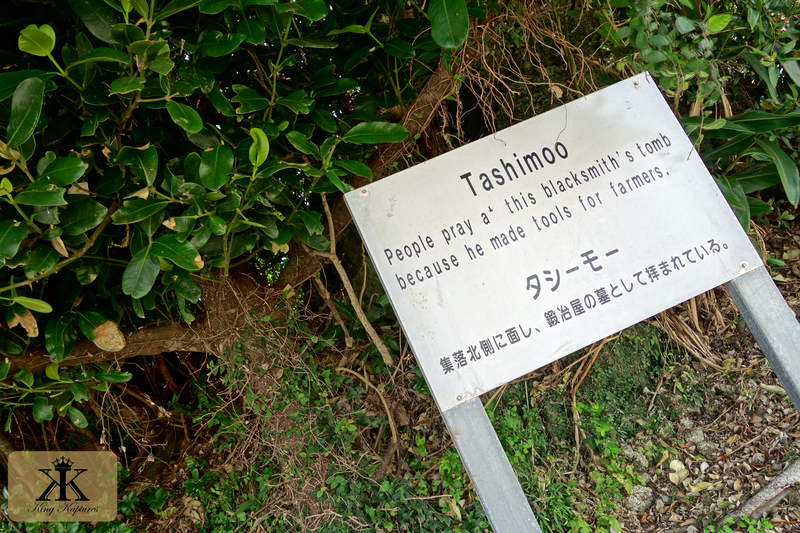 Tashimoo, the blacksmith of Yomitan, had neither. 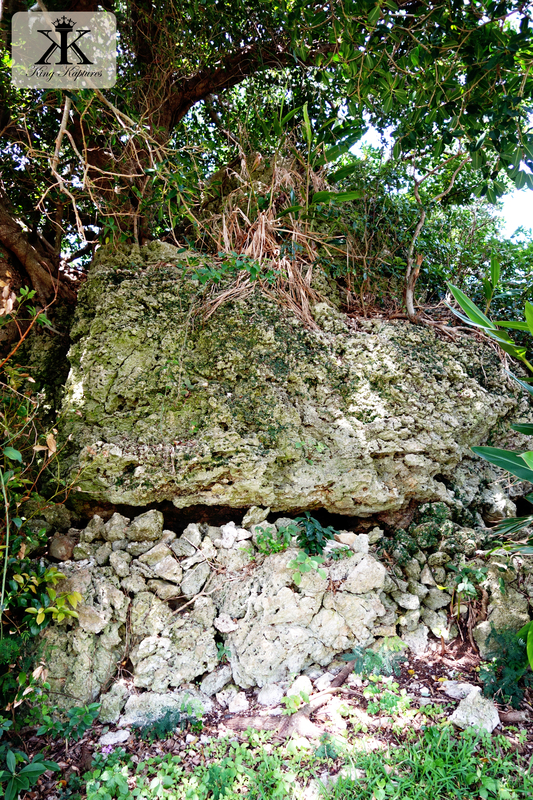 His tomb is crudely formed by stacked chunks of ancient coral. 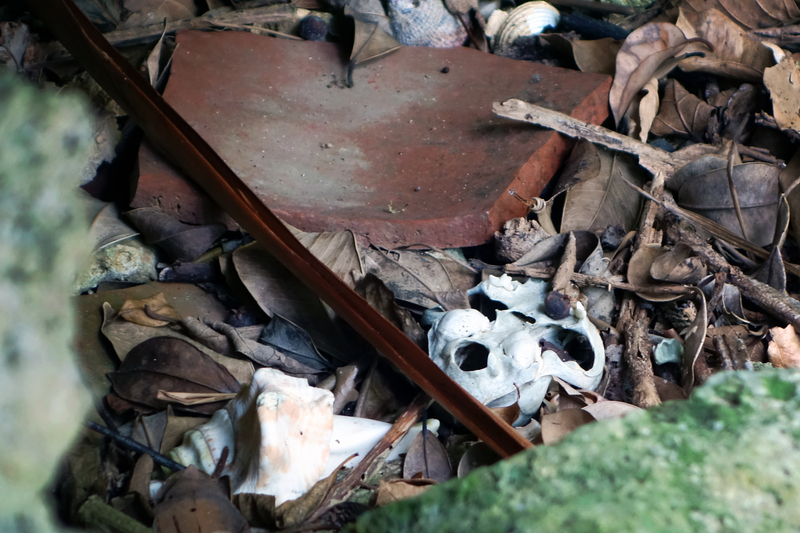 Moving up into the manmade elements of his hillside grave, I spy fragments of earthenware and what appears to be bone fragments, possibly animal, but maybe not, scattered in a leveled area immediately against a small coral wall. The site, adjacent to a busy road serving the base’s gas station and across the street from the construction site where the new base headquarters is going to be, is quite shaded and tranquil. And he still has people stopping to pray. 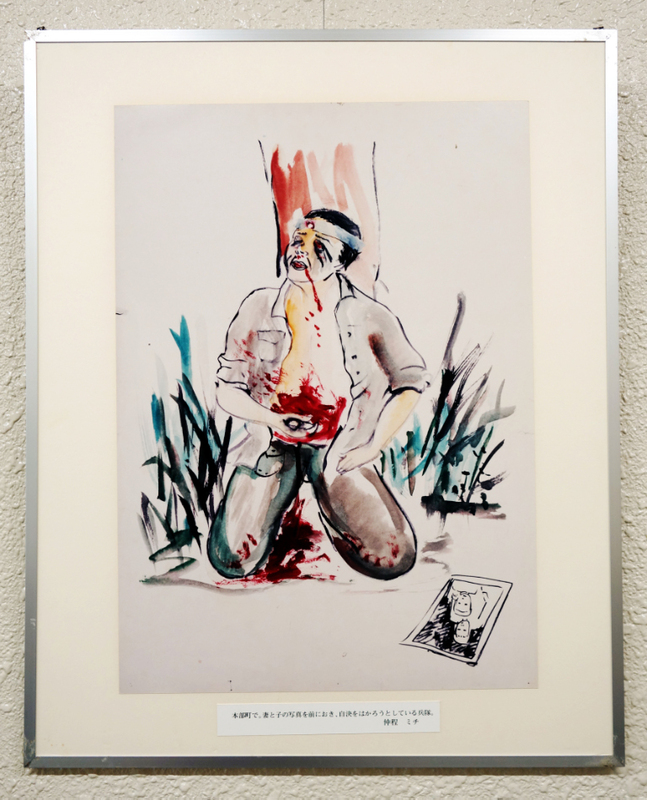 In my few moments of silent contemplation of this man’s life – and death – I focus the very nature of his tomb and the fascinating Okinawan interpretation of the circle of life. And I reach a necessary conclusion. We all can only hope to be as lucky to be so well-remembered. “Hero, hero,” the energetic cries bellowed one after another, becoming louder and more passionate with each verbalization! 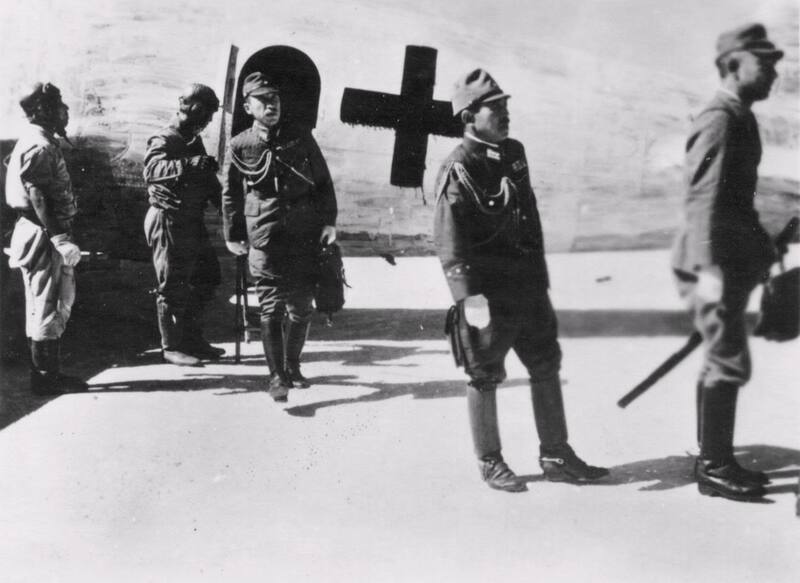 The herd of Japanese kids were beaming smiles at me as I stood up, overly appreciative for apparently saving their very lives. Or so it would seem from their reaction to the drama that unfolded over the last ten minutes. Yes, this was the day I had waited so long for. 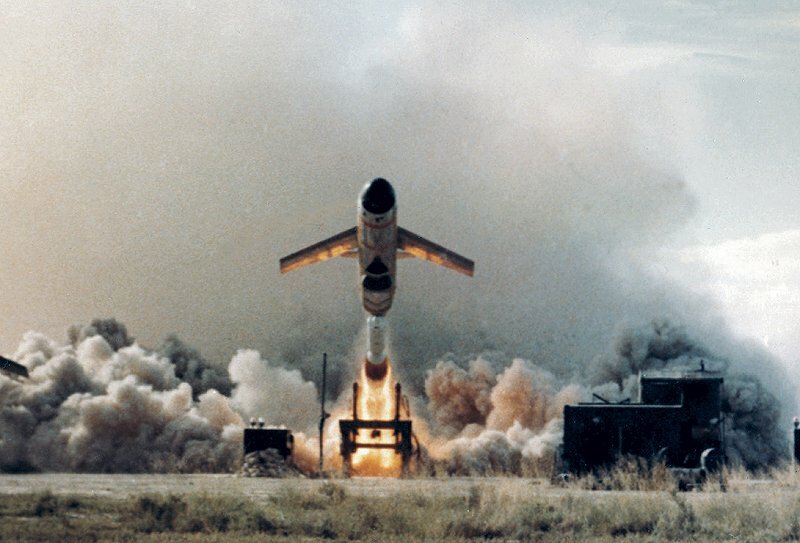 This was the day that never came over 20 years and multiple wars serving in the military. 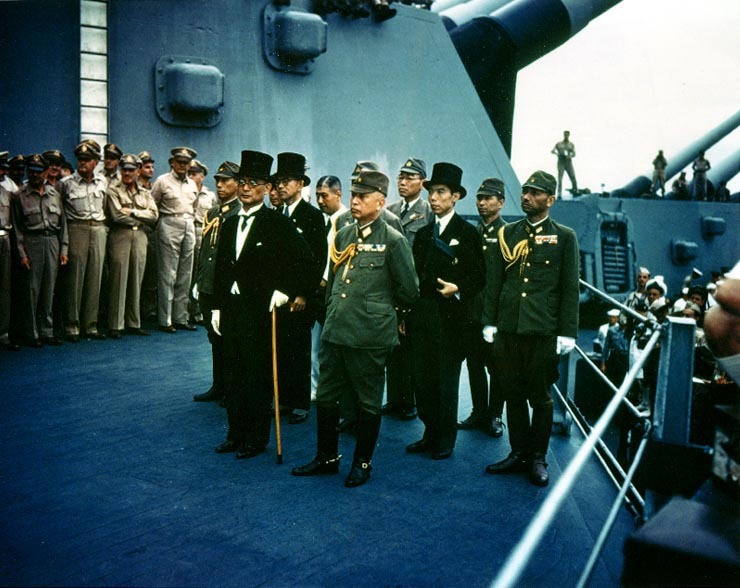 This was the day, finally, when I became a treasured National Hero…of Japan. 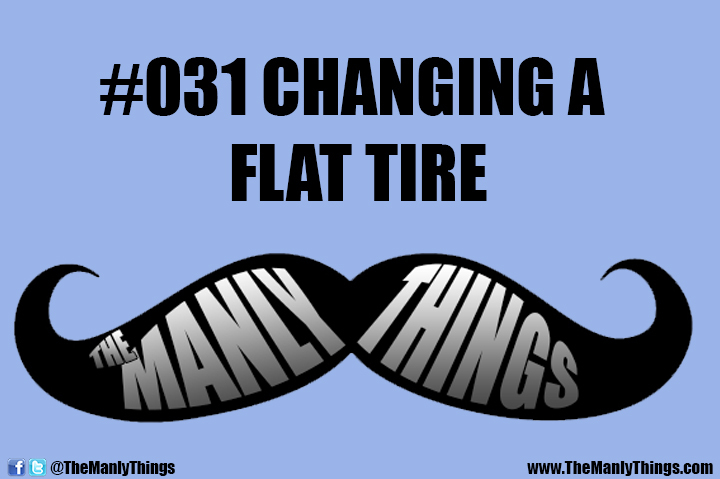 Or, in my case, when I changed a flat tire. No, no, no, not YOU too! Please, you’re embarrassing me. 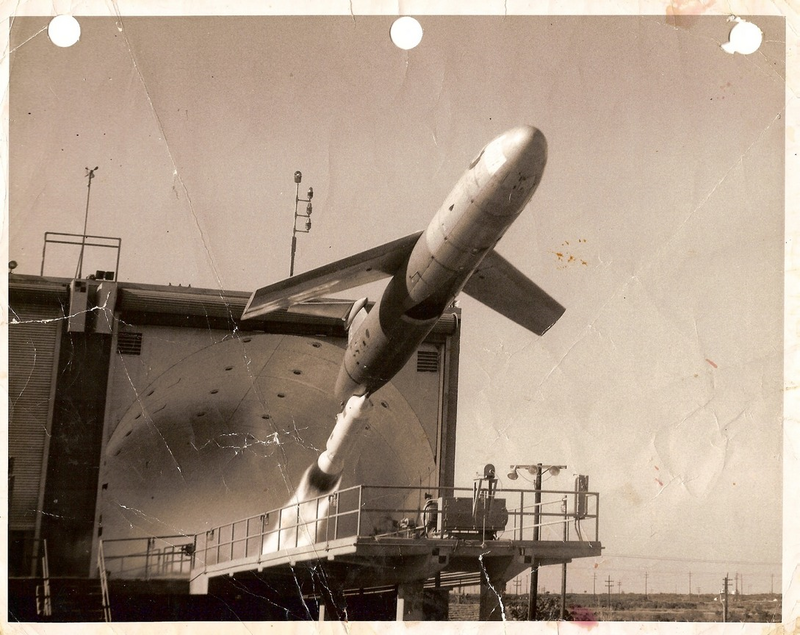 Really, it was nothing; just doin’ what any red-blooded American manly male would do. Really, nothing. There was no danger. 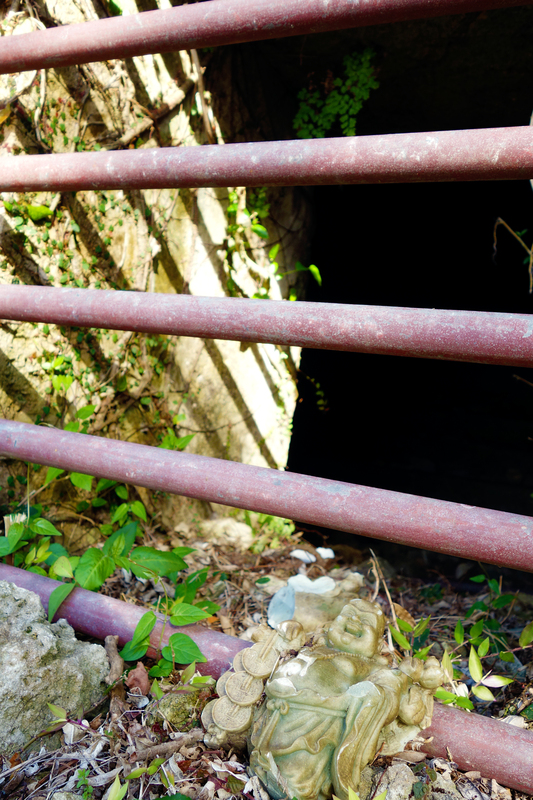 Well, there was a LITTLE danger (wink), but hey, I put a brave face on and trudged through it. There was this family’s touristy agenda at stake, the very fate of their vacation hung in the teetering balance of the car on its jack…. 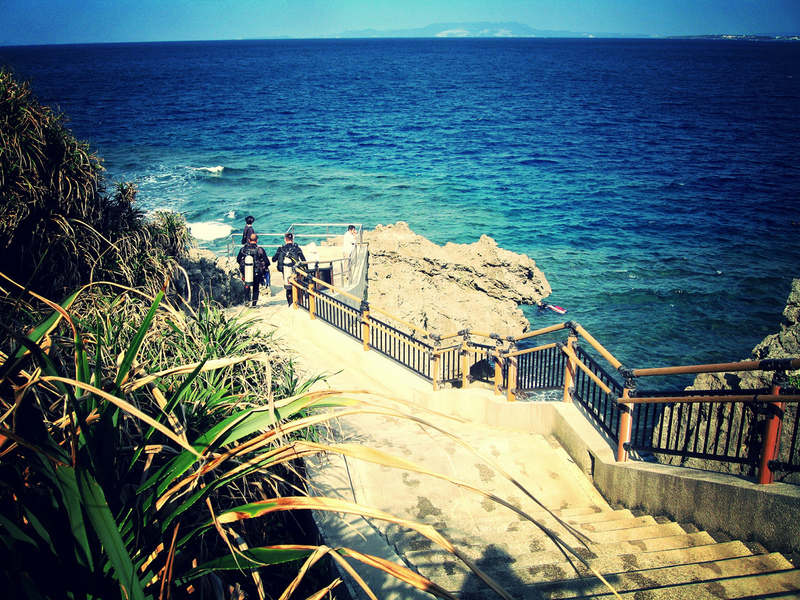 I had arrived at an Okinawan divesite and popular tourist destination called Maeda Point. It is one of those iconic south Pacific island spots which provides a cliff-high scenic overlook of inviting blue ocean waters unable to hide the mysterious subtropical reef just below. 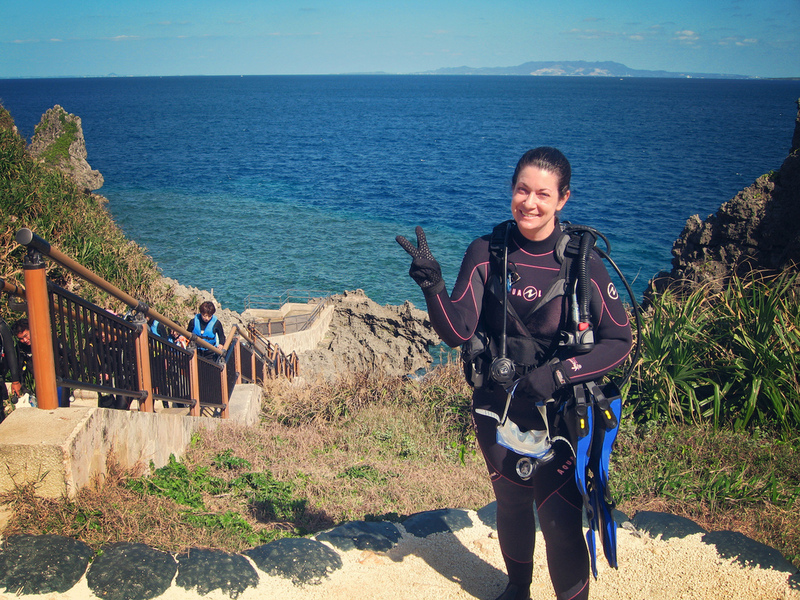 In the last decade the Okinawans have gone to great lengths to make this site much more accessible, and thus throngs of mainland Japanese come here to take guided snorkeling and scuba diving jaunts into the sea. I call these tourists, or at least the females of the bunch, “Misa Misas” after the bubbling-over cute but amazingly shallow female character Misa Amane in the popular anime series Death Note (see the embedded video below and Japan Hub’s ranking of anime for Americans). 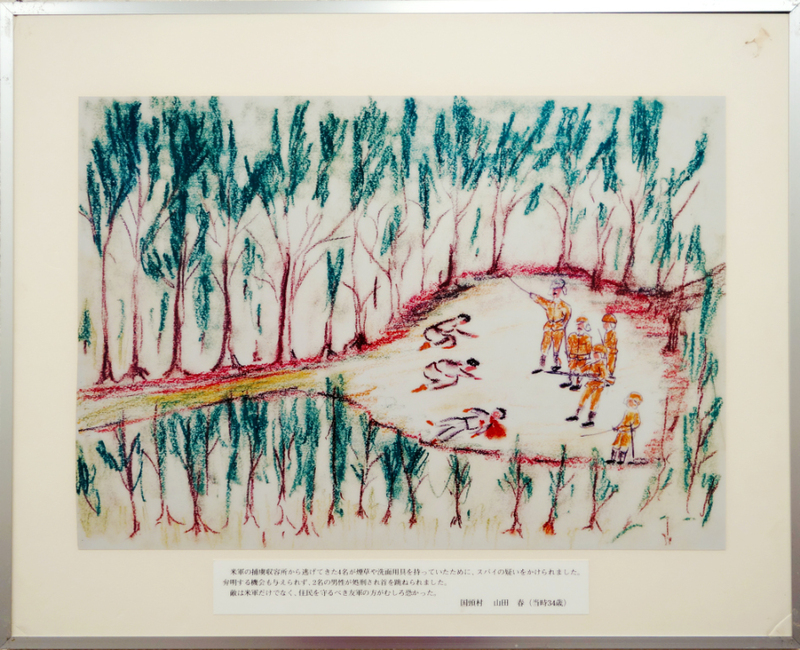 These female Japanese mainlanders seem to lose much of their emotional control on Okinawa in a way that may be slightly reminiscent of “What goes on in Vegas, stays in Vegas.” At least when they are swimming at Maeda Point, it seems. They shriek, they cover their mouths when they giggle (and they giggle all the time), and all seem to be wearing pig tails, better known as “twin tails” in Japan, as they crowd the waters that scuba divers covet. I had parked next to a small Okinawa rental car which had been backed into its parking spot. In it was a younger, attractive woman at the wheel, but as I parked my truck, I noticed that her rear passenger tire was flat. Like completely done. 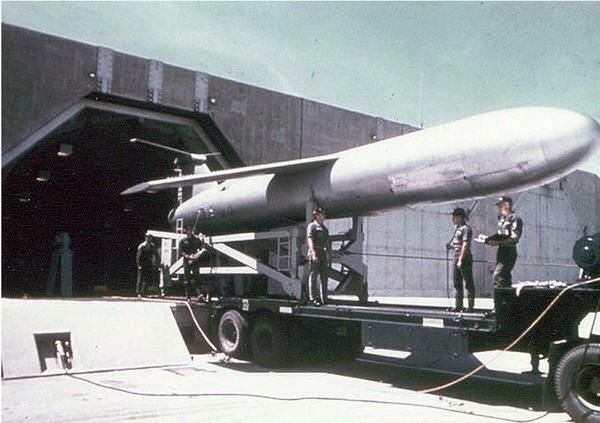 Kaput. 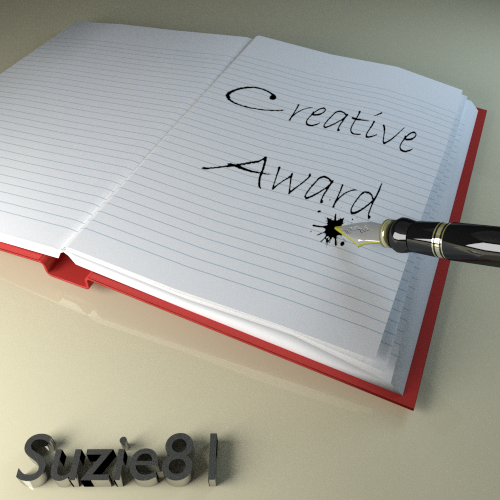 I struggled with what to do. Not wanting her to think some barely dressed American was hitting on her (I was set to go diving; the Japanese are very proper about covering up), I at first thought that maybe she would figure it out on her own. But then I spied the baby car seat in the back, and knew right away that I had to get involved. Moving over to the passenger window, I got her attention. She remotely lowered the passenger side electrically controlled window, and I attempted to speak with my friendliest non-threatening, uncreepy smile I could muster, “Sumimasen!” (excuse or pardon me). 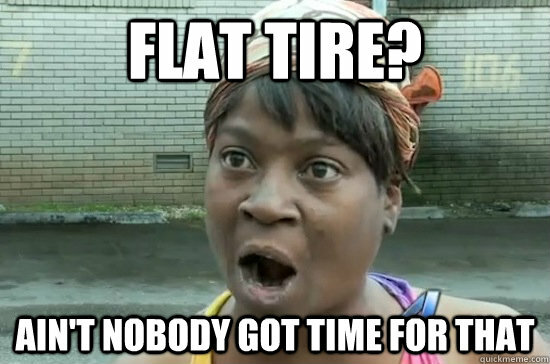 “Flat tire,” I continued as I pointed to the problem. I’m not sure if she understood, but she understood enough to get out of the car and come over to my side. She gasped when she saw the problem, and took my hands in hers in a gesture of thanks, all the while mumbling exasperations in Japanese. She immediately shouted to a few people nearby in the parking lot, and returned to the driver’s seat with her cell phone already at her ear. I walked away thinking that my involvement was over. I started to prep my scuba gear for the upcoming dives; all my student divers were late due to a bad traffic accident on the roads leading to this relatively out-of-the-way site. Which got me thinking even more about this woman and her baby attempting to drive away to some uncertain fate that I had a chance of affecting for the better. I kept one ear on the group, now much larger since an oodles of kids had shown up, and glanced at their goings on. It appeared that Mrs. Flat was visiting Maeda with Mrs. Mom driving another nearby car, and both had what appeared to be a small tribe of kids in tow between them. Seriously, something like 8 kids (and those were just the ambulatory ones), and not a man or boy in sight. Even the Japanese snorkeling concession they were utilizing for their aquatic adventures could only muster the slightest of a man-child, who obviously either didn’t know the first thing about car tires, or didn’t want to get involved. 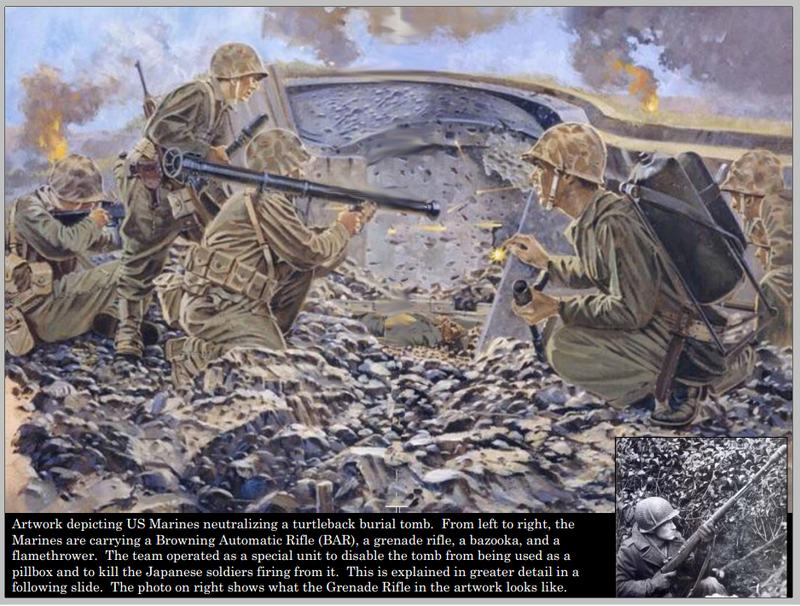 That’s me in the background coming to help in a more “romanticized” version of the story…. “Okay,” the inner voice starts in my head, “you’ve got to do something to help.” I hesitate again. 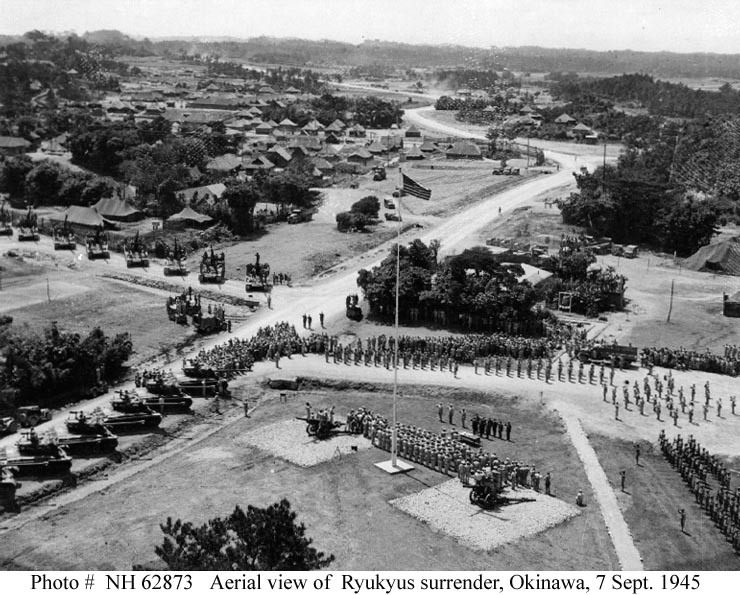 There is a precarious relationship between the US military presence in Japan – especially on Okinawa – and the locals. 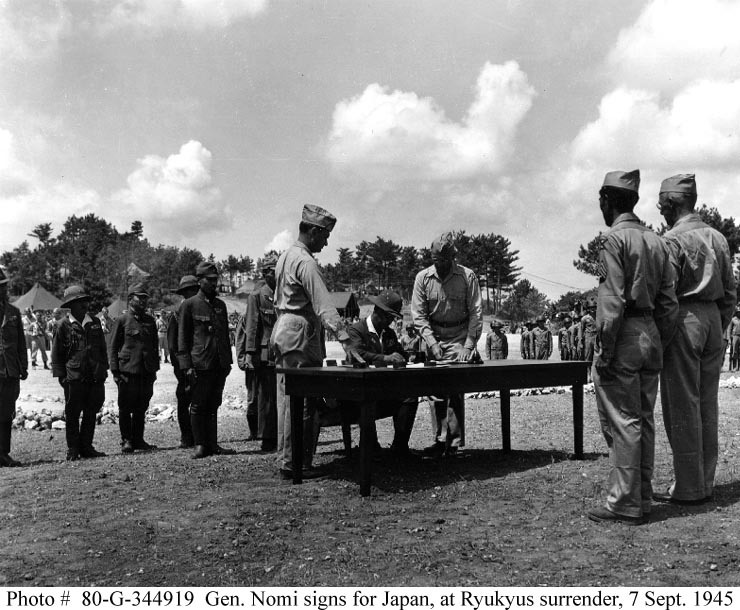 But the powers that be – the US and Japanese governments – will have you believe it is much more caustic than it is in reality. 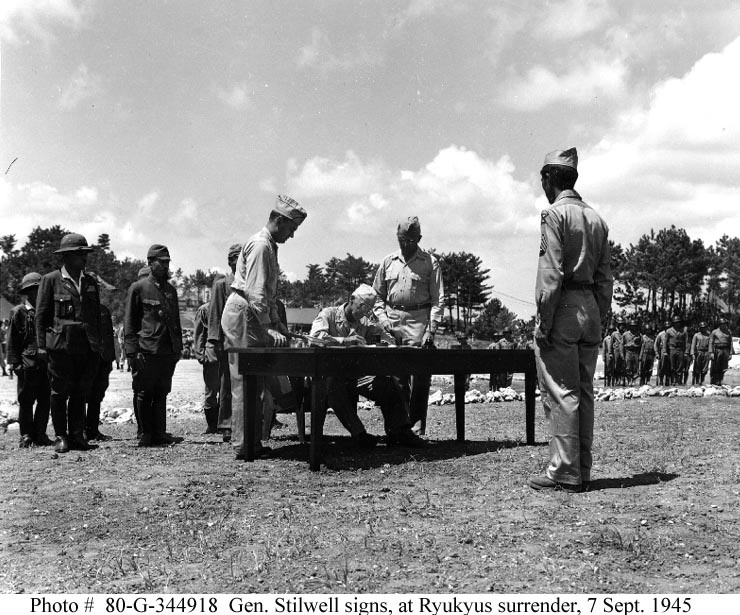 In fact, I have never once had an issue in Okinawa in the seven years I’ve spent here, although I have been “uninvited” from bars up in Honshu…. I debated whether they would eagerly accept my help, or maybe read a darker side into my forwardness. I elected to play ambassador, but more so, to just be a good neighbor. How can you not help sad Japanese girls?!? 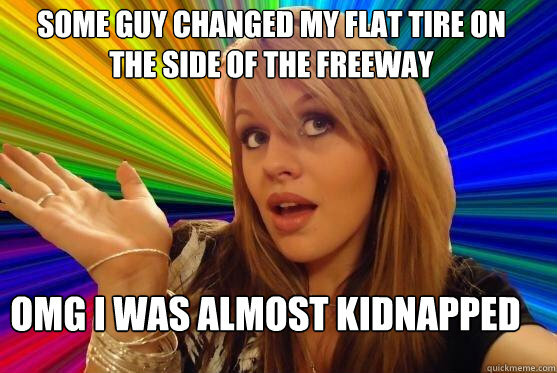 I walked over and inquired about a “spare tire” as it seemed they were searching the victim car for one. And from that point on, anything I said in English the kids would energetically repeat. 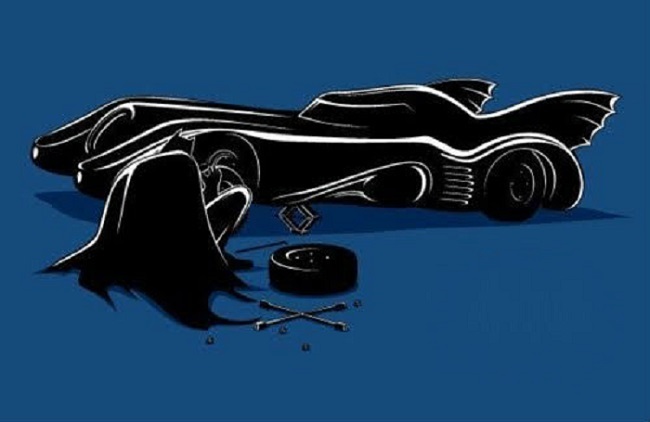 “Spare, spare…spare tire, tire, spare….SPARE!” And not just two or three times. Again and again and again! I doubt they knew much meaning behind the words, but they were happy to be speaking English – even if just phonetically – in a very real context. 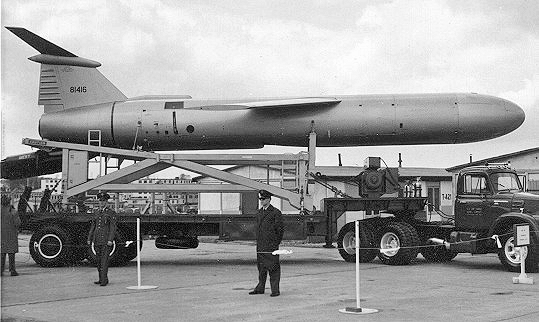 But there was no spare! There was a jack and a lug wrench, and even a place for a spare, but no tire. Many of the smaller Japanese cars don’t carry one, but instead carry a can of “fix-a-flat” tire inflation gas/fluid. None of that either. I even checked under the back seat and under the rear of the car to make sure. 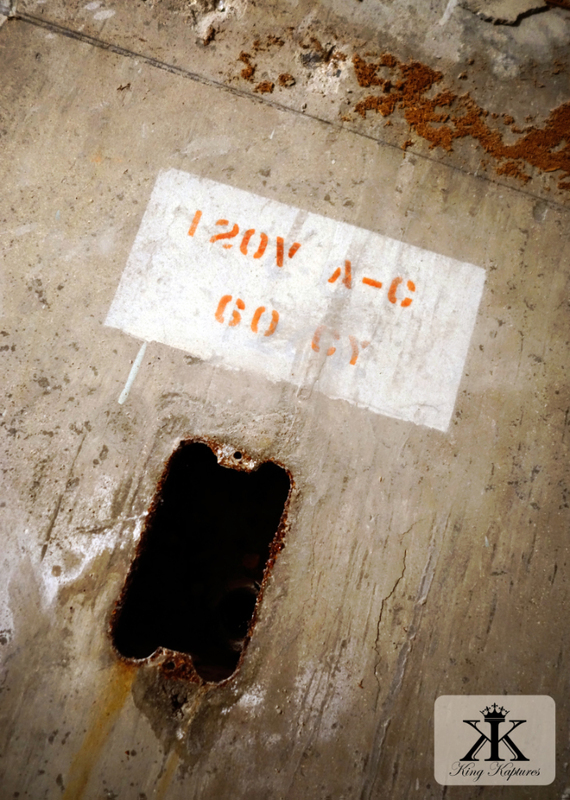 “No spare,” I muttered astonishingly…. “NO SPARE NO SPARE NO SPARE,” came the misplaced excited replies, like it was a good thing. I smile at the kids and even patted one of the smaller ones on the head, thinking of just how wonderful the innocence of youth is as a treasure that just can’t be valued by the young properly in the those youthful moments. I ask about her friend’s car. 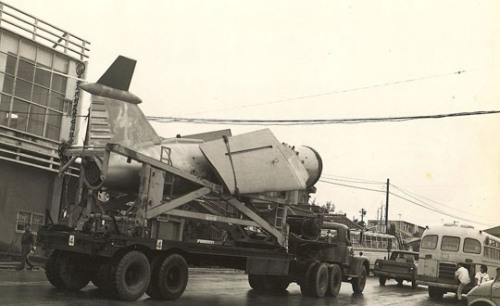 “Spare,” I questioned as I pointed in that car’s direction. Mrs. Mom understands and has her hatchback open in no time. “Aaaaahhhhhhhhh, SPARE-O,” comes her excited reply. That’s all I need to start to get out the tools of the tire-changing trade and arrange them at the ready. Kids are so wonderful, no matter where you find yourself in the world. Non-judgmental, accepting, sponges for knowledge, and awestruck with the wonders of everyday life, they are so easy to engage and communicate with. They huddle around the tire as I ready everything for the change. “PAW-KING BREAK, paking brake, parking brek,” the replies sound again. I move back and start with the tool phase of the process, more properly referred to as the “Oooohs and Aaaahs” of the change. Each time I manipulated a tool against automobile structure, at least a baker’s dozen “oohs” and a healthy pint of “aahs” sounded. I began to feel almost superhuman at this point with such audience participation. Trying to keep my language to a unrepeatable minimum, I start to show how things work and fit together. I demonstrate how the jack-screw raises the scissors of the jack lift. I showed how to place the lifting portion of the jack against the notch in the car’s frame. I took the flathead portion of the lug wrench and wrangled off the cheap plastic hub cap, giving it to one of the nearby children to examine firsthand. But now came the strongman show of this circus. There were only 4 nuts holding the tire on, but of course each was most likely tightened into place with a pneumatic torque socket. 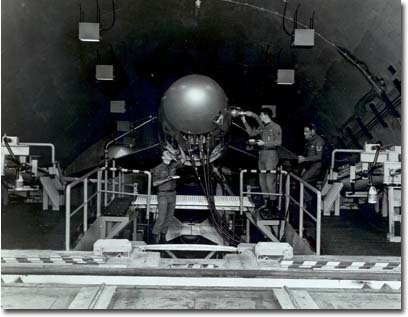 It takes a little force to break that grip, and I used my body weight to help loosen the nuts in turn. Pushing on the first I barely grunt under my breath, just as the nut starts to give way with a metallic crunch. But now there’s an audible change: “Gentleman!” The word spreads like a Santa Anna wind-blown wild fire in a California drought. Gentleman: A chivalrous, courteous, or honorable man; a man of good social position, especially one of wealth and leisure. I may lack social status and the wealth of the top 5% of Americans, but my leisurely actions of the day were no doubt courteous and chivalrous. Nonetheless, I smile, somewhat embarrassingly, turning a bit red as the accolades only continue. Repeat that sequence three more times and the flat is off in a jiffy. I quickly rotate the tread examining it for damage, and find a nice shiny screw completely imbedded in the tire, having entered on the inner side of one of the tread channels. 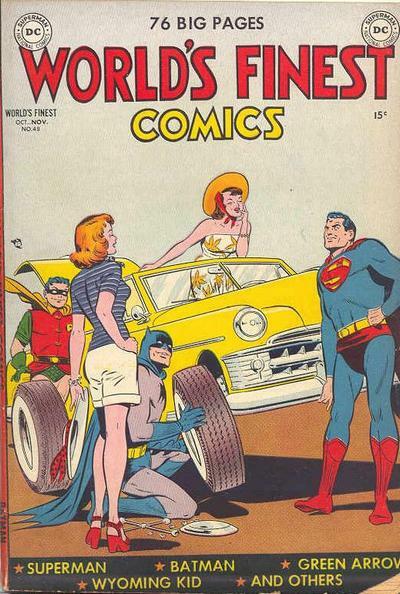 “EEEEEEEEEEEH,” came the exasperated replies from the only two drivers of the gang. I place the spare on the bolts and hand-tighten the nuts into place. I mimic how you must tighten bolts in an X-pattern to ensure the right fit and ride, and then I’m back into superhuman character, tightening the bolts into place using my body weight and muscle power against the lug wrench’s resistance. The tire is back on. I lower the car and the suspension accepts the replacement without question or complaint. I pull the jack and tools and stand up to look Mrs. Flat in the eye. “Small tire,” I say as I mime motions for small. “Drive slow,” I say as I mimic the hand signal, at least in motorcycles and diving, for slow. And just to be cautious, I end with “Be safe” while smiling, embarrassed at the unearned and unnecessary accolades I was receiving. I was also a Mathlete Calculus Hero in High School, and had I been Val Kilmer and/or an Astronaut, I would have used math to save lives…. 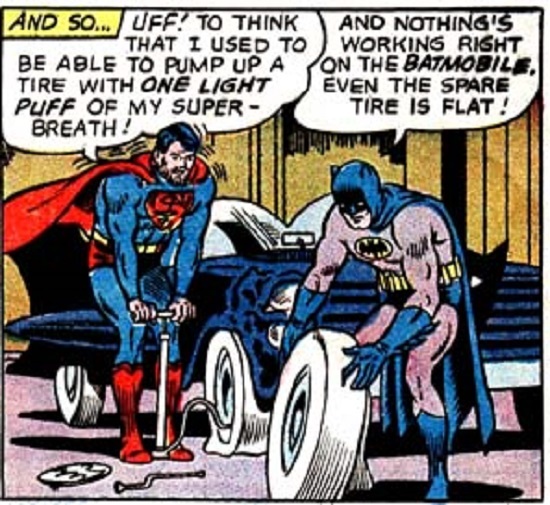 And with that my characterization of “gentleman” takes a light-year leap and becomes “hero.” I am proclaimed by all present, particularly the tween and teen-aged girls, as their “hero.” Over and over as I politely reject such a label, you know, for changing a tire! 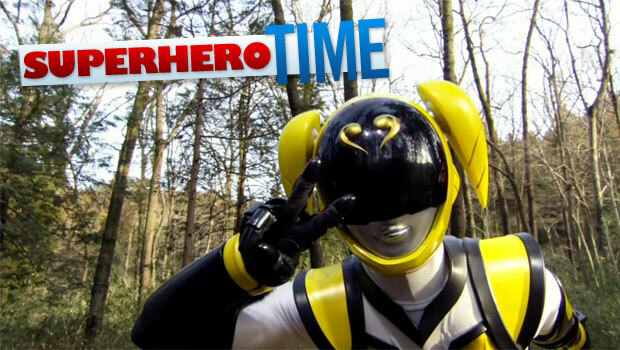 Okay, seriously, “hero” is a word that EVERYONE uses way too often, all too easily. I’m sorry America, you are not a hero for putting a uniform on. 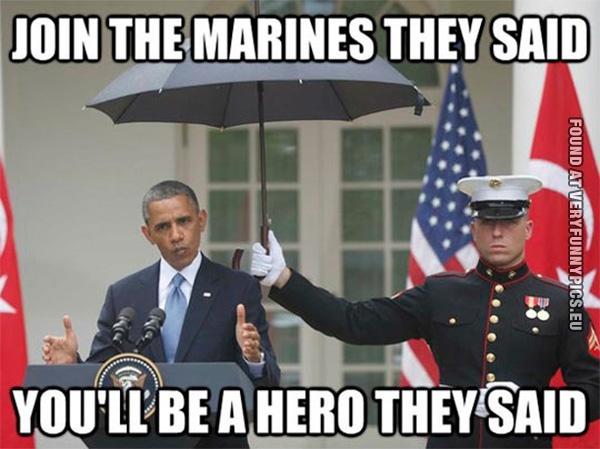 You are no hero if something bad just happens to you while wearing said uniform. Underpaid teachers and non-profit volunteers are wonderful people who literally weave the fabric of our society, but they are not heroes. The idea and label of “hero” should be reserved for the very few that deserve it, and it should be held back for those esteemed occasions where it could/can be applied with great effect. Tire-changing is not one of them. Each of the Japanese gang of Misa Misas came up and thanked me, some in Japanese, and others in English. They all took my hands. 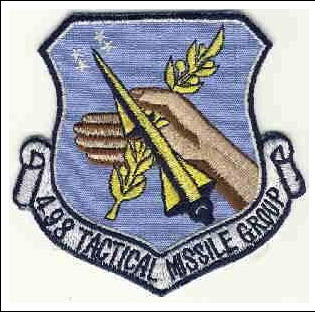 “Hero” was a word said often, and each time I politely rejected the very notion, smiling but shaking my hand “no” rather emphatically. Pictures were taken with various cell phones, me towering over the group, with my arms around them and hands shooting double peace signs so ubiquitous in Japan. 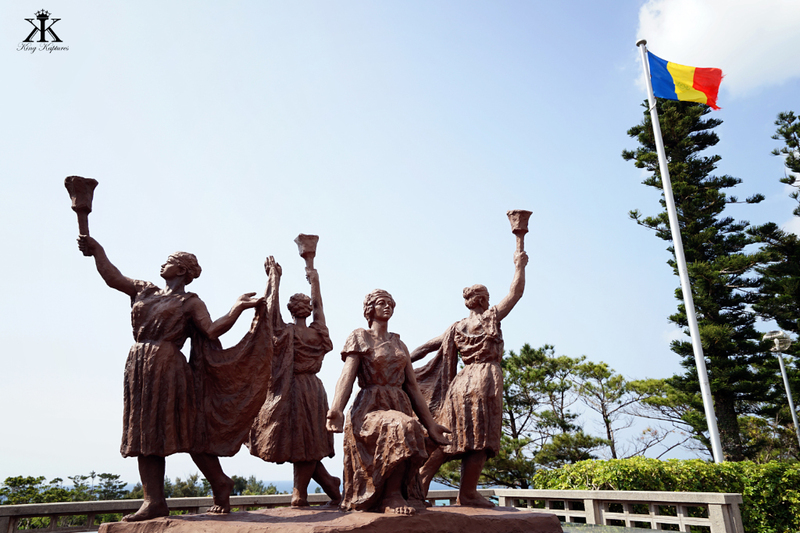 I so uncomfortable with becoming a Japanese National Hero that I didn’t ask for the photos to be sent to me, but by now surely there’s been a monument erected in my honor in the group’s hometown. Perhaps a proudly chiseled (and buff) statue. Or a play-park full of tires. No, thank you Japan, for embracing me as a National Hero, if only for 20 minutes one lazy Okinawan afternoon!